Haddock, William Hall; Taken on strength as a Gunner with 58th Battery 15th (Vancouver) Coast Regiment RCA NPAM on 7 Aug 1940, assigned regimental number V9948, assigned new regimental number K416565. ​Haffner, Frank Joseph; Taken on strength in 15 Field Regiment RCA on 15 Dec 1949, struck off strength on 7 Apr 1953. Hager, Allen Erastus; Attested Canadian Overseas Expeditionary Force 9 Nov 1914, regimental #86656, Gunner 18th Battery Canadian Field Artillery, arrived England 18 Aug 1915, 5th Brigade Canadian Field Artillery, appointed Acting Bombardier 13 Oct 1915, embarked for France 15 Jan 1916, awarded Military Medal 23 Oct 1916, promoted Bombardier 3 Nov 1916, shrapnel wound neck 19 Nov 1916, taken on strength Canadian Artillery Regimental Depot 10 Mar 1917, 4th Divisional Ammunition Column Heavy Trench Mortar 6 Jul 1917, taken on strength "E" Canadian Anti-Aircraft battery 28 Aug 1917, to Anti-Aircraft School 16 Sep 1917, rejoined unit 23 Sep 1917, admitted hospital Hernia 19 Oct 1917, invalided injured and transferred to Canadian Artillery Regimental Depot 10 Dec 1917, taken on strength 68th Battery 16th Brigade North Russia Expeditionary Force 21 Aug 1918, proceeded overseas 20 Sep 1918, disembarked Archangel 1 Oct 1918, embarked for the United Kingdom 18 Jun 1919, to Canada 5 Jul 1919, discharged 18 Jul 1919, deceased 12 Dec 1966. 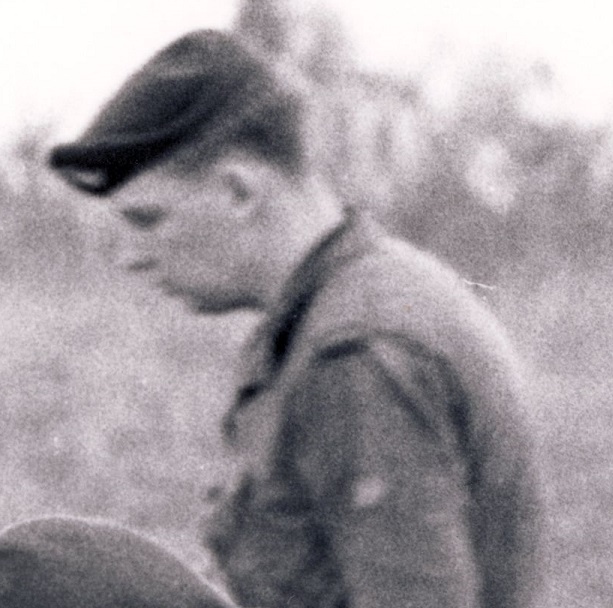 ​Hagen, FAC; Private in 31 Battery in 1969. ​Haggerty, Stuart; Taken on strength as a Gunner in 15th Field Artillery Regiment RCA on 17 Jun 1982, qualified General Military Training on 11 Aug 1982, qualified TQ1 Artilleryman on 14 Oct 1982, qualified TQ2 Artillery Basic Communications on 13 Oct 1982, promoted Bombardier on 17 Jun 1983, qualified Small Arms Coach on 5 Oct 1983, qualified Junior NCO on 29 Jun 1984, qualified TQ1 Weapons Tech on 25 Nov 1984, qualified TQ1 Motor Support Equipment Operator on 6 Jan 1985, promoted Master Bombardier on 17 Jun 1985, qualified TQ3 Artillery on 25 Jul 1986, promoted Sergeant on 10 Dec 1987, released on 3 Jan 1991. 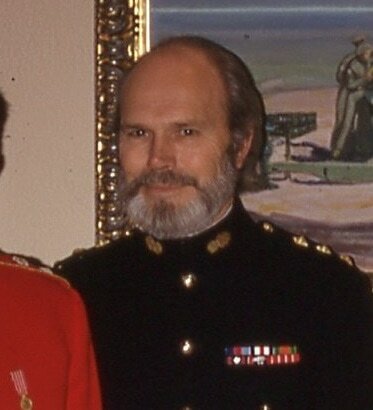 Hahn, David Wade Francis; Taken on strength as a Gunner in 15th Field Artillery Regiment RCA on 26 Apr 1984, qualified General Military Training on 10 Aug 1984, transferred to Regular Force on 11 Sep 1984. Hale, Clayton Jonathan; Taken on strength as a Private in The Rocky Mountain Rangers on 11 Jun 1992, qualified General Military Training on 24 Jul 1992, transferred to 15th Field Artillery Regiment RCA on 3 May 1993, qualified QL3 Artillery on 28 Jul 1993, qualified QL4 Basic Communications on 14 Jul 1995, promoted Bombardier on 11 Jun 1995, released on 10 Apr 1996. 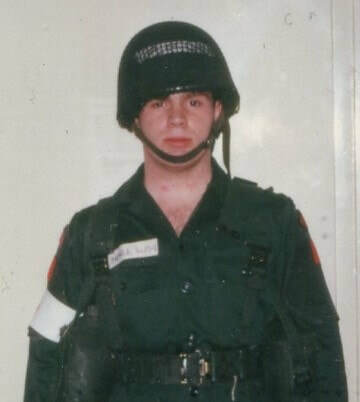 Hall, David Andrew; Taken on strength as a Gunner in 15th Field Artillery Regiment RCA on 28 Apr 1992, qualified QL2 Common Recruit on 29 May 1992, transferred to Regular Force on 30 Jun 1992. Hall, DGW; Sergeant in 85 Battery from 1969 to 1970. Awarded the Dumoulin Trophy for 1969. 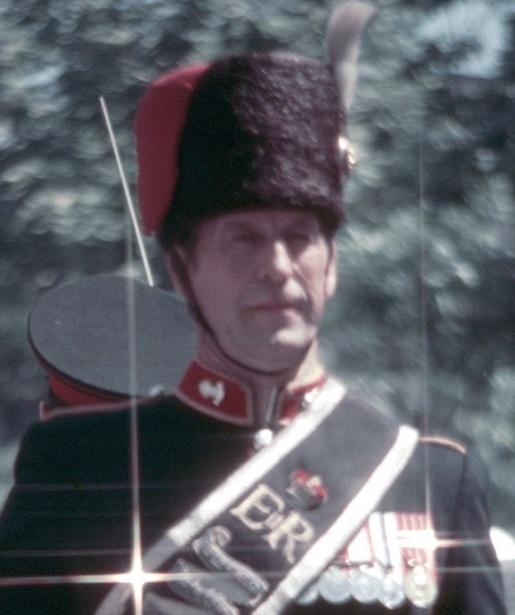 Hall, Dennis E; Private in the Regimental Band in 1978. Hall, DL; Sergeant in 85 Battery in 1969. Hall, GE; Sergeant in the 43rd Medium Anti-Aircraft Regiment RCA CA(M) Military Band in 1958, struck off strength on release on 3 Dec 1959. 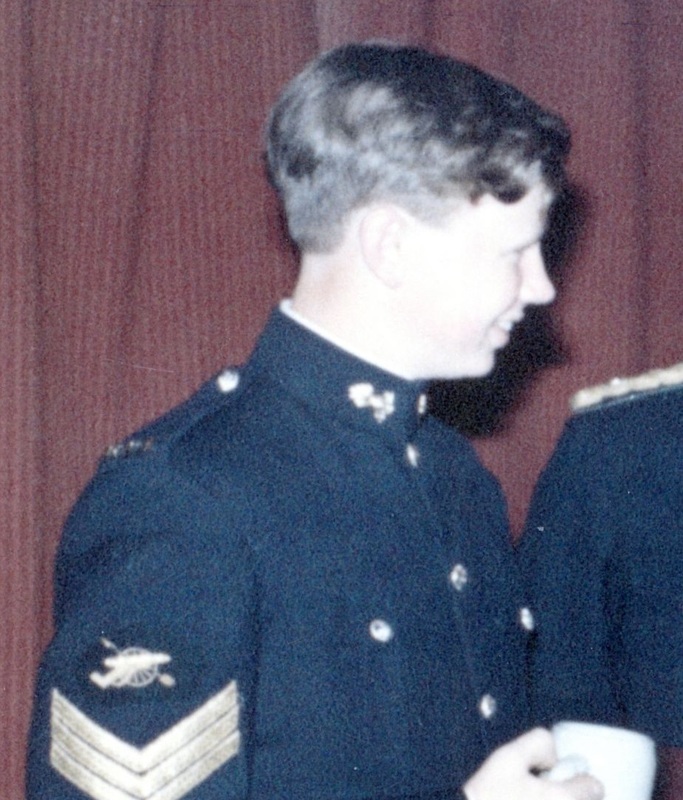 Hall, GJE; Captain in 1969, Regimental Quartermaster in 1969. 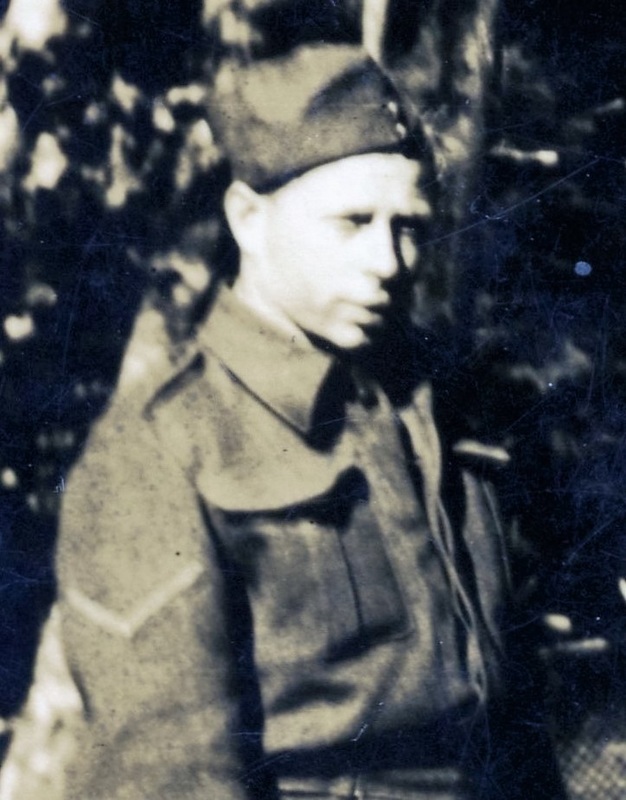 Hall, John Maxwell; Taken on strength 15th Field Regiment RCA with former service Canadian Army (M) on 21 Nov 1957. 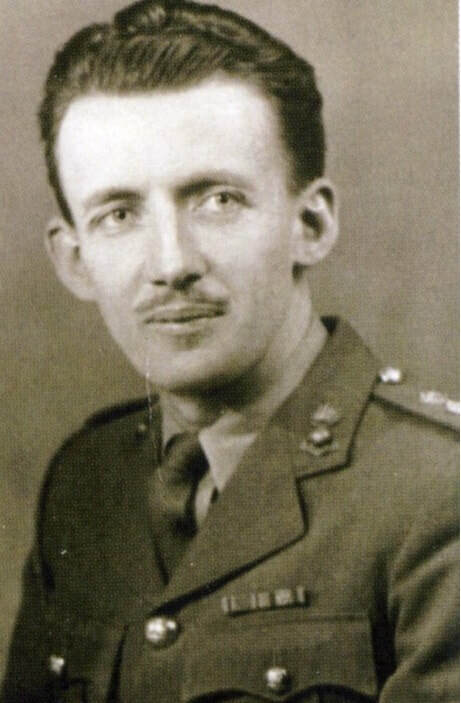 Hall, John Orville; Taken on strength 15th Field Regiment RCA with former service in Reserve Army on 18 Apr 1955, struck off strength on transfer to 8 Provost Company C Pro C on 25 Jan 1956. Hall, Michael Kevin Scott; Taken on strength as a Gunner in 15th Field Artillery Regiment RCA on 15 Dec 1992, released on 29 Apr 1994. ​Hall, Shane M; Taken on strength as a Gunner in 15th Field Artillery Regiment RCA on 11 Jan 1990, qualified General Military Training on 29 Apr 1990, qualified QL3 Artilleryman on 22 Mar 1992, qualified QL4 Artillery Communications on 5 Jul 1992, operational tour with UNFICYP from 31 Jul 1992 to 16 Mar 1993, promoted Bombardier on 9 Mar 1993, released 13 Sep 2001. Hall, WAE; Bombardier in the 43rd Medium Anti-Aircraft Regiment RCA Band in 1958. Hall, William (Bill) Hees; Joined Canadian Army (Regular) Sep 1960 as Soldier Apprentice, transferred to Princess Patricia Canadian Light Infantry for Basic Training in Edmonton, transferred to Royal Canadian Army Medical Corps Apr 1961, service in Canada, Europe (NATO) and the United Nations Organization in Congo, released 1968, taken on strength Cadet Instructor List and appointed Commanding Officer 111 Squadron Air Cadets 1985, transferred to Holding Reserve Force Sep 1990, taken on strength 15th Field Artillery Regiment RCA as Logistics Captain Sep 1990, appointed Regimental Quartermaster Sep 1990, taken on strength Supplementary Holding Reserve 1 Feb 1993. Halladay, Albert Edward; Attested Canadian Overseas Expeditionary Force 23 Feb 1917, regimental #1250730, Gunner 77th Overseas Depot Battery Canadian Field Artillery, arrived England 29 Apr 1917, proceeded overseas to 32nd Battery 8th Army Brigade Canadian Field Artillery in France 23 Sep 1917, shrapnel wound in the back 18 Nov 1917, struck off strength to 68th Battery 16th Brigade North Russia Expeditionary Force 21 Aug 1918, proceeded overseas 20 Sep 1918, disembarked Archangel 1 Oct 1918, awarded Military Medal for Bravery in the Field 31 Jan 1919, embarked to United Kingdom 18 Jun 1919, to Canada 5 Jul 1919, discharged 17 Jul 1919, deceased 29 Nov 1974 Victoria BC. Halliday, Matthew Robert; Taken on strength as a Gunner in 15th Field Artillery Regiment RCA on 14 Dec 2000, released. ​Hallitt, Civ; Second Lieutenant in 102nd Coast Regiment RCA in 1954. Hallman, Ian Leonard; Taken on strength in 15th Field Regiment RCA on 25 Sep 1952 struck off strength on 12 Nov 1953. 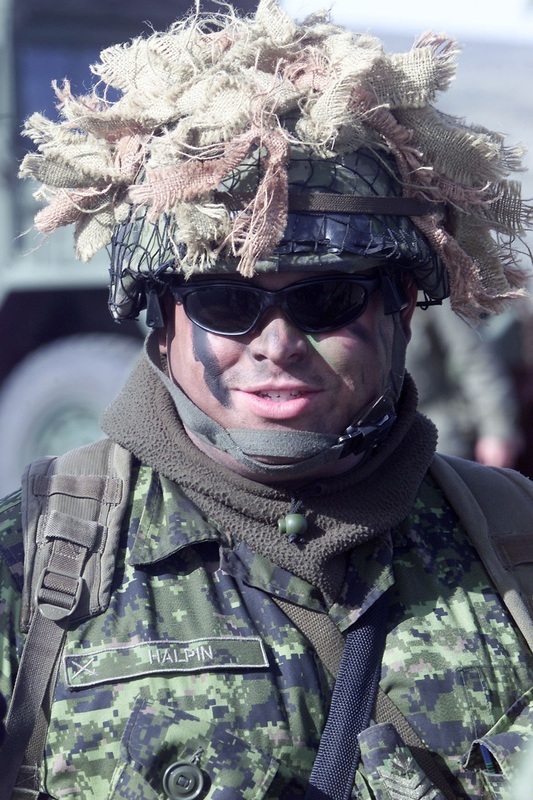 ​Halpin, Graig J; Transferred from 5 (BC) Field Regiment RCA, Sergeant from 2003 to 2006. Halsall, Robert Edmond; Taken on strength 15th Field Regiment RCA on 19 Nov 1957, transferred to 15th Field Regiment RCA Military Band on 31 Oct 1958. ​Halstead, Eric Thomas; Taken on strength as a Gunner in 15th Field Artillery Regiment RCA on 11 Jan 1980, qualified General Military Training on 1 Aug 1980, qualified TQ1 Artilleryman on 26 Feb 1981, promoted Bombardier on 1 Mar 1981, qualified Driver Non-Trade on 20 Feb 1982, qualified TQ2 Artillery Communicator on 30 Jul 1982, transferred to Supplementary List on 21 Apr 1983, Taken on strength as a Bombardier on 2 Oct 1986, released on 24 Jan 1987. Haman-Das, Sacha Krisen; Taken on strength as a Gunner in 15th Field Artillery Regiment RCA on 6 May 1999, qualified Qualification level 3 Artillery on 20 Aug 1999, qualified QL4 Basic Communications on 5 Dec 1999, Qualified M109 Conversion on 16 Mar 2001, qualified QL4 Artillery Communications on 8 Mar 2001, promoted Bombardier on 4 Apr 2002. Hamilton, Barrie Victor William; Taken on strength 15th Field Regiment RCA on 21 Jun 1956, struck off strength on transfer to Western Command Contingent COTC as Officer Cadet on 30 Jul 1956, taken on strength on transfer Western Command Contingent COTC on 1 Sep 1957, promoted Second Lieutenant on 1 Sep 1957, promoted Lieutenant on 8 Sep 1959, promoted Captain on 1 Dec 1962, promoted Major on 1 Feb 1969, transferred to Supplementary list on 15 Jun 1979, Attached from Supplementary List on 21 Aug 1980, promoted Lieutenant-Colonel and Commanding Officer 18 Dec 1983, released 31 Jul 1985, deceased 26 Feb 2005. 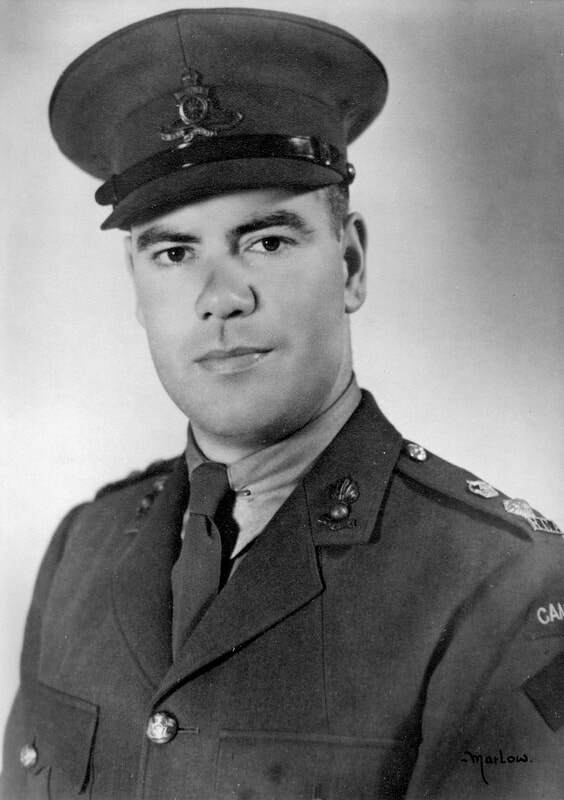 ​Hamilton, James (Jim) Amos; Taken on strength as a Gunner in 43rd Heavy Anti-Aircraft Regiment RCA on 13 Dec 1948, appointed Acting Bombardier on 3 Mar 1952, qualified Bandsman Group 1 on 11 May 1952, confirmed in rank of Bombardier on 2 Jun 1952, promoted Acting Sergeant on 8 Jun 1953, taken on strength 43 Medium Anti-Aircraft Band on 1 Nov 1958, reinstated 15 Field Regiment Band on 15 Oct 1959, qualified Bandsman Cornet or Trumpet Group 2 on 1 Dec 1959, passed Drum Major Course on 6 Feb 1960, promoted Substantive Sergeant on 15 Sep 1961, promoted Staff Sergeant on 1 May 1961, promoted Master Warrant Officer on 1 May 1970, promoted Chief Warrant Officer on 1 Mar 1978, deceased 9 Dec 2013. 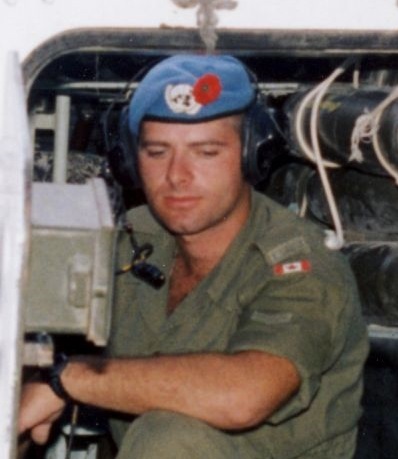 Hamilton, Michael Alan; Taken on strength as a Gunner in 15th Field Artillery Regiment RCA on 4 Apr 1996, qualified QL2 General Military Training on 26 Jul 1996, qualified QL3 Artillery on 20 Aug 1996, released on 24 Sep 1997. Hamilton, Sheryl; Taken on strength 15th Field Artillery Regiment Band as a musician, Corporal in 1994. ​Hamilton, Stuart Perry; 68th Battery Canadian Field Artillery Gunner March 1917, England April 1917, France 18th Battery CFA Sept 1917, Military Medal Neuville Vitasse June 27 1918, Wounded Amiens Aug 9 1918, Invalided to England Aug 1918, Canadian Reserve Artillery Dec 1918, Canada and discharged Feb 1919. 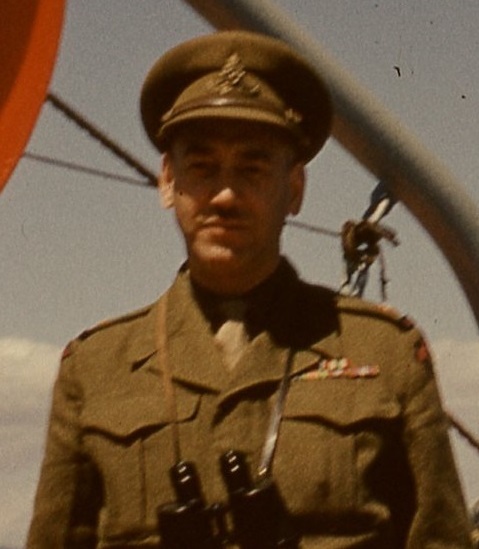 Hamilton, Thomas Howard; Taken on strength in 15th Field Regiment RCA on 10 Sep 1953. 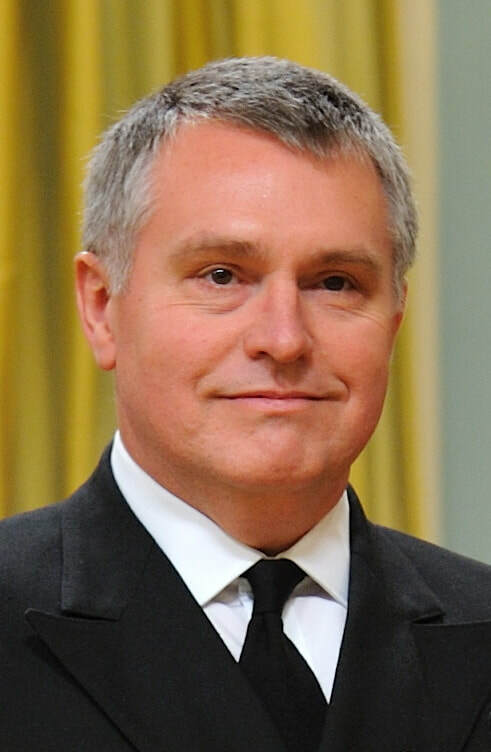 Hamilton-Brown, Glen R; Captain from 1992 to 2007, Regular Force Cadre 15th Field Artillery Regiment RCA in 1992, 2nd Regiment Royal Canadian Horse Artillery from 1998 to 2001, 49th Field Artillery Regiment from 2001 to 2003, University from 2004 to 2005, Posted to Headquarters 1 Canadian Mechanized Brigade Group in 2006, Major from 2007 to 2015; Posted to 1st Regiment Royal Canadian Horse Artillery in 2009, Posted to 1 Canadian Brigade Group Headquarters in 2011, Posted to NATO in 2013. Hammel, James Austin; Taken on strength with Prince Edward Island Heavy Brigade Canadian Garrison Artillery, taken on strength as a Gunner with the No. 5 Siege Battery Canadian Garrison Artillery on 18 Apr 1916, embarked on the S.S. Southland on 26th Sep 1916, unit renamed 8th Siege Battery Canadian Garrison Artillery on 31 Mar 1917, landed in France on 31 Jul 1917, to Corps Rest Camp on 26 Sep 1917, rejoined unit on 5 Oct 1917, attached to XI Corps 14 Oct 1917, rejoined unit on 29 Oct 1917, taken on strength Canadian Artillery reinforcing Depot on 5 Mar 1918, attached to 2nd CCD on 15 Jul 1918, cease attachment on 6 Sep 1918, taken on strength with Composite Brigade Canadian Siege Artillery on 6 Sep 1918, proceeded to France on 24 Oct 1918, posted to 3rd Brigade Canadian Garrison Artillery on 3 Nov 1918, proceeded to England on 2 Apr 1919, struck off strength to Canada on 3 May 1919, demobilized on 18 May 1919. ​Hammell, George Duncan (JD? ); Lance Bombardier in 85th Heavy Battery 15th (Vancouver) Coast Brigade RCA on Yorke Island, Taken on Strength in 15th Coast Regiment RCA on 5 December 1946, promoted Warrant Officer Class II on 19 December 1946 to 1948, struck off strength on 1 Feb 1954. ​Hammell, Harold; Gunner in 85th Heavy Battery 15th (Vancouver) Coast Brigade RCA on Yorke Island. 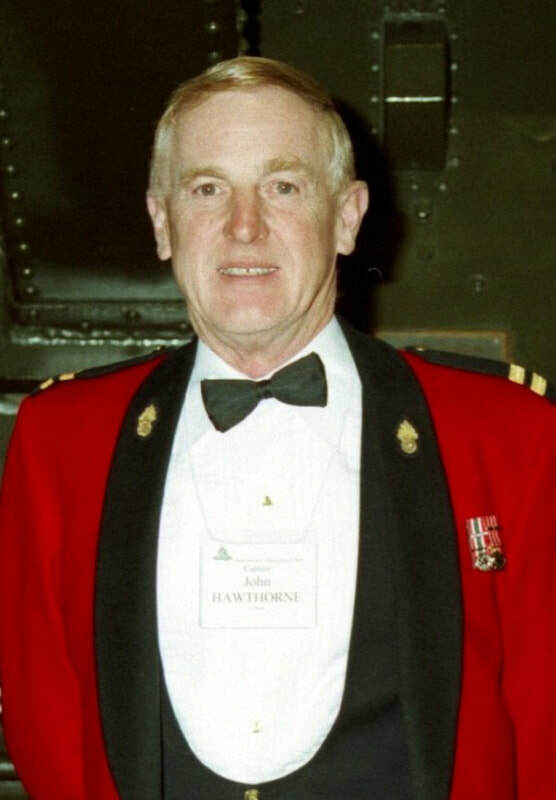 Hammond, Lee John; Taken on strength as a Gunner in 15th Field Artillery Regiment RCA on 10 May 1984, qualified general Military Training on 30 Jun 1986, released on 8 Jul 1986, Captain from 1995 to 2001, Field Artillery School from 1995 to 1999, 2nd Regiment Royal Canadian Horse Artillery from 1999 to 2001, Major 2001 to 2007, Royal Canadian Artillery School from 2001 to 2004, National Defence Headquarters from 2004 to 2005, Canadian Forces College in 2006, Lieutenant-Colonel from 2007, 1 Canadian Mechanized Brigade Group from 2007 to 2010, Commanding Officer 1st Regiment Royal Canadian Horse Artillery from 2011 to 2013, OP ATTENTION in 2013, Colonel from 2014 to 2015, retired in 2015. Hammond, Scott PA; Taken on strength in 15th Field Artillery Regiment RCA, Bombardier from 2014 to 2017. Hampton, Tom L; Sergeant listed on the Warrant Officers and Sergeant’s Mess gong. Handley, Carmen Liane; Taken on strength as a Musician in 15th Field Artillery Regiment RCA on 28 Feb 1989, qualified TQ1 Oboe on 28 Aug 1989, released on 20 Apr 1995. Hands, Vincent Joseph; Taken on strength as a Gunner in 15th Field Artillery Regiment RCA on 25 Jun 1982, qualified General Military Training on 11 Aug 1982, released on 26 May 1983. Hanker, Rene Kurt Bernard; Taken on strength as a Gunner in 15th Field Artillery Regiment RCA on 19 Jan 1984, released on 14 Feb 1984. Hankin, FH; Sergeant in 15th (Coast) Brigade RCA CA in 1942. ​Hankins, Herbert; Taken on strength 68th Overseas Depot Battery on 21 Feb 1916, embarked Canada 28 Apr 1916, disembarked Liverpool 7 May 1916, transferred to Reserve Brigade 8 May 1916, appointed Acting Bombardier 17 May 1916, reverted to ranks at own request 1 Jul 1916, drafted to France with 4.5" Howitzer Brigade 5 Jul 1916, attached to 1st Canadian Divisional Artillery Column 8 Jul 1916, posted to 3rd Canadian Field Artillery Brigade 10 Jul 1916, sentenced 5 days field punishment No.1 leaving parade without permission 7 Dec 1916, awarded Military Medal for bravery in the field 18 Jul 1917, hospitalized on 25 Aug 1917 gunshot wound head, invalided to England 6 Sep 1917, taken on strength 2nd Brigade CFA 15 Nov 1917, proceeded to France 18 Mar 1918, promoted Bombardier 14 Sep 1918, promoted Corporal 13 Feb 1919, granted 14 days leave 26 Mar 1919, embarked for Canada 18 May 1919, discharged from HMS 27 May 1919, Warrant Officer Class I and Regimental Sergeant Major of 15th Field Brigade, Canadian Artillery from 1930 to 1933, deceased 28 Jun 1953, buried at Mountainview cemetery. Hanks, William Andrew; Taken on strength 15th Field Artillery Regiment RCA on 27 Feb 1973, qualified Artillery Communicator on 27 Jul 1973, awarded Most Efficient Recruit of the Year trophy 1973, qualified Artilleryman on 5 Jan 1974, promoted Bombardier on 1 Apr 1975, released 9 Jun 1976. Hanlon, Erin Patricia; Taken on strength as a Gunner in 15th Field Artillery Regiment RCA on 14 Nov 1995, released on 15 Jan 1997. Hanlon, Lee; Transferred to 15th Field Artillery Regiment RCA on 5 Jun 1993, qualified General Military Training, BTT Motor Support Equipment Operator , Junior Leaders Course and QL4 Motor Support Equipment Operator, released on 1 Aug 1997. Hanna, Vincent George; Taken on strength 15th Field Artillery Regiment RCA on 13 Jul 1982, released 1 Oct 1982. 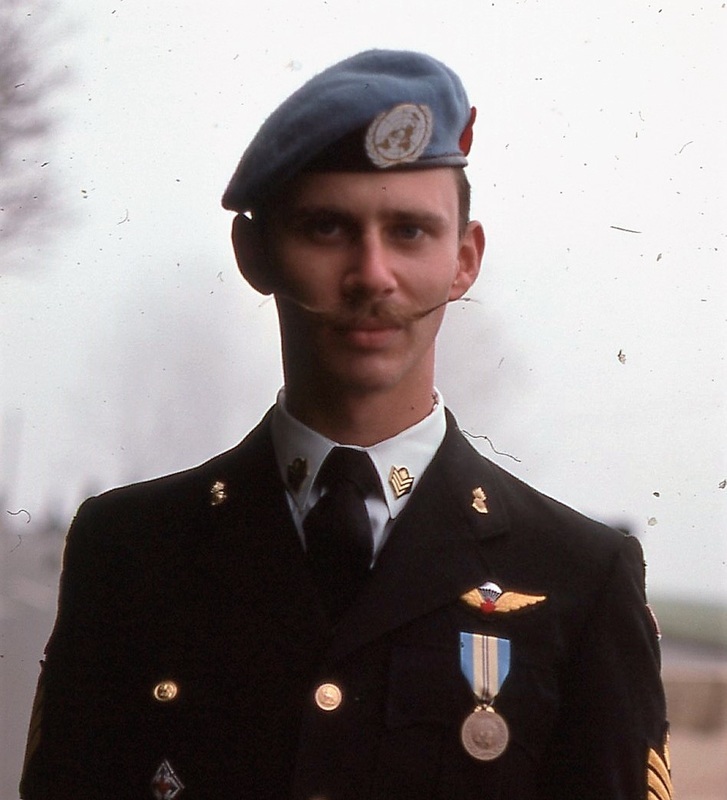 Hansen, David Norman; Taken on strength as a Gunner in 15th Field Artillery Regiment RCA on 18 Feb 1989, qualified General Military Training on 28 May 1989, qualified Basic Artilleryman on 11 May 1990, released 29 Nov 1990. Hansen, Valentine William Henry; Gunner with 3 Canadian Field Regiment RCA in 1944, awarded Military Medal while serving as the wireless operator for the Forward Observation Officer attached to the Princess Patricia Canadian Light Infantry in Italy on the 19/20 October 1944, taken on strength in 15 Field Regiment RCA on 21 Sep 1950, appointed Acting Bombardier on 13 Sep 1951, confirmed Sergeant on 1 Dec 1951, reverts to Bombardier on 1 Jul 1953, struck off strength on 26 Nov 1953, deceased July 2001. Hansford, Hugh Collingwood; Taken on strength 31 Battery 15th (Vancouver) Coast Brigade RCA NPAM 30 Aug 1940, assigned regimental number VV9411, assigned new regimental number K415557. Hansom, John Francis; ​Taken on strength 31 Battery 15th (Vancouver) Coast Brigade RCA NPAM 30 Aug 1940, assigned regimental number VV9442, assigned new regimental number K415551, on sick leave 5 Nov 1940 to 16 Dec 1940. Harding; Bombardier in 15th Field Artillery Regiment RCA in 1971. Harding, Brian Russell; Taken on strength as a Musician in 15th Field Artillery Regiment RCA on 18 Jun 1992, cancel enrolment on 13 Apr 1993. Hardman, WG; Attached fap to 15th Field Regiment RCA from Supplementary Reserve (RCA) as Captain on 31 Jul 1957, ceases attachment on 1 Apr 1958. Hardy, Glen Mitchell; Taken on strength 15th Field Regiment RCA on 18 Apr 1955, struck off strength on release on 12 Jun 1956. ​Hare, Frank; Attested Canadian Overseas Expeditionary Force 28 Nov 1917, regimental #340421, Gunner 69th Overseas Depot Battery Canadian Field Artillery, arrived England 24 Feb 1918, taken on strength 68th Battery 16th Brigade North Russia Expeditionary Force 21 Aug 1918, proceeded overseas 20 Sep 1918, disembarked Archangel 1 Oct 1918, Driver in "C" Sub Section Apr 1919, embarked for the United Kingdom 18 Jun 1919, to Canada 5 Jul 1919, discharged 15 Jul 1919. ​Hare, George Edward; Drafted C Battery Royal Canadian Horse Artillery #349818 7 Dec 1917, embarked Halifax 27 Feb 1918, disembarked Glasgow 11 Mar 1918, taken on strength Reserve Brigade 12 Mar 1918, taken on strength 68th Battery 16th Brigade North Russia Expeditionary Force 21 Aug 1918, proceeded overseas 20 Sep 1918, disembarked Archangel 1 Oct 1918, embarked for the United Kingdom 18 Jun 1919, to Canada 5 Jul 1919, discharged 15 Jul 1919, deceased 18 Aug 1944, interred Mount Hope Catholic Cemetery Toronto ON. 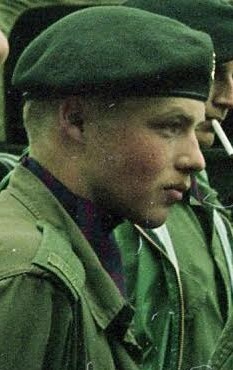 Hargitt, Victor Stanley; Taken on strength 15th Field Regiment RCA on 10 Jan 1957, struck off strength on release on 7 Jan 1958. Hargrave, John Sicotte; Second Lieutenant in 31st Heavy Battery, 15th (Vancouver) Coast Brigade RCA NPAM in 1940, attended instructors course Heals Camp on 19 Aug 1940. Hargreaves, Vernon Harry; Taken on strength 31 Battery 15th (Vancouver) Coast Brigade RCA NPAM 30 Jul 1940, assigned regimental number VV9443, assigned new regimental number K415552. Hariharan, Siddarth (Neil); Taken on strength as a Gunner in 15th Field Artillery Regiment RCA on 18 May 1999, qualified QL2 General Military Training on 26 Aug 1999, released on 29 Sep 2000. Harkness, John Alexander Charles COTC, Sept 1917, 68th Battery Canadian Field Artillery Gunner May 1918, 2nd Canadian Tank Battalion England Oct 1918, Canada and discharged July 1919. Harman, Art; Gunner in 85th Heavy Battery 15th (Vancouver) Coast Brigade RCA on Yorke Island. ​Harmon, Brian Delnor; Taken on strength as a Gunner in 15th Field Artillery Regiment RCA on 16 Feb 1967, qualified Mil Driver Group I on 21 Jul 1967, qualified Artillery Technician on 5 May 1968, qualified Transport Operator on 2 Aug 1968, qualified Artilleryman R021C on 6 May 1971, qualified Senior NCO common to Corps Part 1 on 7 Feb 1971, promoted Sergeant on 1 Oct 1972, qualified Basic Parachutist on 9 Nov 1973, promoted Warrant Officer on 2 Dec 1976, operational tour with UNEFME to 2 Dec 1976, awarded Dumoulin trophy in 1977, transferred Regular Force on 28 Mar 1978. Harmon, Clay G; Taken on strength as a Gunner in 15th Field Artillery Regiment RCA, Bombardier in 1963, Sergeant from 1968 to 1969, Warrant Officer from 1972 to 1978, awarded Dumoulin trophy in 1972. ​Harmon, Darwin L; Taken on strength as a Gunner in 15th Field Artillery Regiment RCA, promoted Bombardier, Sergeant in 1967, promoted Warrant Officer. ​Harmon, Terry Craig; Taken on strength in 15th Field Artillery Regiment RCA on 6 Apr 1968; qualified Artilleryman on 7 Jul 1968, Private in 158 Battery in 1969, promoted Bombardier on 1 Apr 1976, appointed Master Bombardier on 1 Oct 1976, qualified Artillery Communicator on 9 Jan 1977, operational tour with United Nations Emergency Force Middle East from Aug 1978 to Aug 1979, promoted Sergeant in 1980. Harnden, Frederick Henry; Drafted 70th Depot Battery Canadian Field Artillery 10 Dec 1917, regimental #341427, arrived England 24 Feb 1918, taken on strength Reserve Brigade Canadian Field Artillery 26 Feb 1918, taken on strength 68th Battery 16th Brigade North Russia Expeditionary Force 21 Aug 1918, proceeded overseas 20 Sep 1918, disembarked Archangel 1 Oct 1918, Driver in "C" Sub Section Apr 1919, embarked for the United Kingdom 18 Jun 1919, to Canada 5 Jul 1919, discharged 15 Jul 1919, deceased 16 Feb 1953. ​Harper, Garner Cameron Ian; Taken on strength as a Gunner in 15th Field Artillery Regiment RCA on 26 Apr 1986, released on 30 Jun 1986. 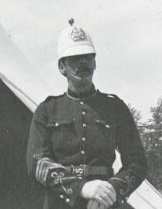 Harper, Roland Edgar; Taken on strength with Prince Edward Island Heavy Brigade Canadian Garrison Artillery, taken on strength as a Gunner with the No. 5 Siege Battery Canadian Garrison Artillery on 21 Apr 1916, embarked on the S.S. Southland on 26th Sep 1916, unit renamed 8th Siege Battery Canadian Garrison Artillery on 31 Mar 1917, landed in France on 31 Jul 1917, admitted hospital 22 Oct 1917, rejoined unit 28 Oct 1917, granted 14 days leave on 5 Mar 1918, admitted to hospital on 22 Mar 1918, absorbed into 3 Brigade Canadian Garrison Artillery on 3 Apr 1918, rejoined unit on 3 May 1918, gassed on 30 May 1918, invalided to England on 3 Jun 1918, taken on strength Canadian Artillery Replacement Depot on 3 Jun 1918, attached to 2nd CCD on 19 Jul 1918, cease attachment on 8 Sep 1918, taken on strength with Composite Brigade Canadian Siege Artillery on 6 Sep 1918, proceeded to France on 29 Oct 1918, posted to 1st Brigade Canadian Garrison Artillery on 24 Dec 1918, proceeded to England on 1 Apr 1919, struck off strength to Canada on 3 May 1919, demobilized on 10 May 1919. Harper, Stu J; Member 158 Battery 15th Field Artillery Regiment RCA 1961, Promoted Sergeant 1961. Harrington, Walter; Gunner in 15th (Vancouver) Coast Brigade RCA, transferred to 24th Anti-Tank Battery RCA. 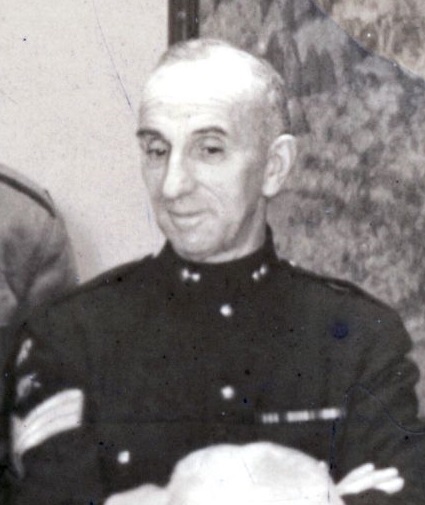 Harris, Charles Raymond; Taken on strength in 15th Field Regiment RCA on 29 Oct 1953 with former service in the Canadian Army (Active Force) struck off strength on release on 6 Dec 1954. Harris, JR; Private in 85 Battery in 1969. Harris, Pete; Gunner in 85th Heavy Battery 15th (Vancouver) Coast Brigade RCA on Yorke Island. ​Harrison, DB; Captain Artillery Staff Course as at 1 Nov 1965, Headquarters Pacific Region as 1 Nov 1967 to 1969, Mobile Command Headquarters as at 1970 to 1971, Regular Force Support Staff Officer from 1972 to 31 Dec 1977, National Defence Headquarters as at 31 Dec 1978. Harrison, George Eric; Taken on strength as a Gunner with 58th Battery 15th (Vancouver) Coast Regiment RCA NPAM on 31 Jul 1940, assigned regimental number V9949, assigned new regimental number K416566. Harrison, Phillip Clair; Taken on strength 15th Field Artillery Regiment RCA on 15 Feb 1977, qualified Artilleryman on 25 Aug 1977, promoted Bombardier on 1 Feb 1979, transferred to Supplementary List on 1 May 1979, transferred from Supplementary List on 20 Sep 1980, released 1 May 1980, enrolled as Bombardier on 18 Feb 1982, released 11 Feb 1983. Harrison, PDA; On 1947-1967 list of reunion invitees. 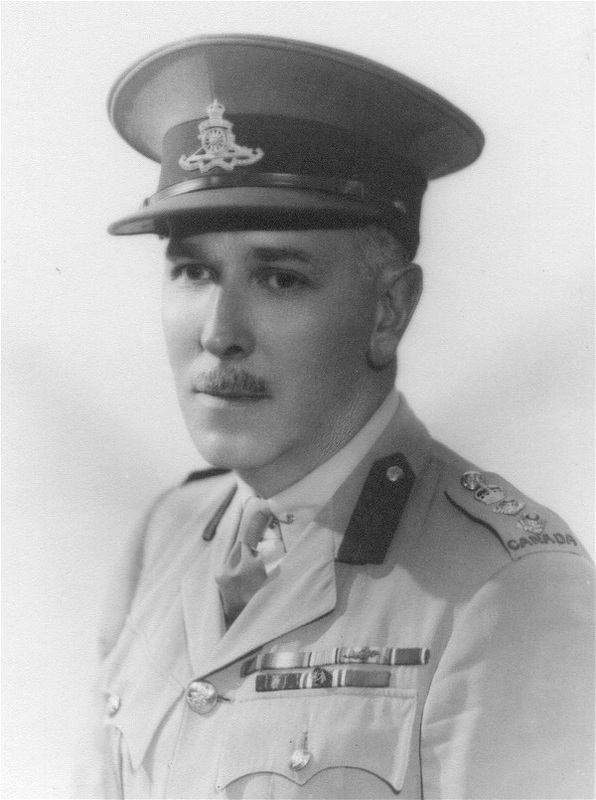 Harrison, TG; Taken on strength from Supplementary Reserve as Lieutenant with 85 Battery 15th Coast Regiment RCA on 9 Oct 1947 to 1950, struck off strength to Supplementary Reserve of Officers on 15 Nov 1950. ​Harrison, TL; Captain in 15th (Coast) Brigade RCA CA in 1942, Adjutant in 1942. Harrison, Webster Rhodes; Attested Canadian Overseas Expeditionary Force 19 Feb 1918, 63rd Depot Battery, arrived in England 19 Apr 1918, taken on strength Reserve Brigade Canadian Field Artillery 20 Apr 1918, taken on strength 68 Battery 16 Brigade 21 Aug 1918, proceeded overseas to North Russia Expeditionary Force 20 Sep 1918, disembarked Archangel 1 Oct 1918, awarded Military Medal in recognition of gallant conduct in the field 8 Apr 1919, embarked Archangel for the United Kingdom 18 Jun 1919, to Canada 5 Jul 1919, discharged 20 Jul 1919, deceased 10 Aug 1959, cremated Bonney-Watson Chapel Seattle Washington USA. 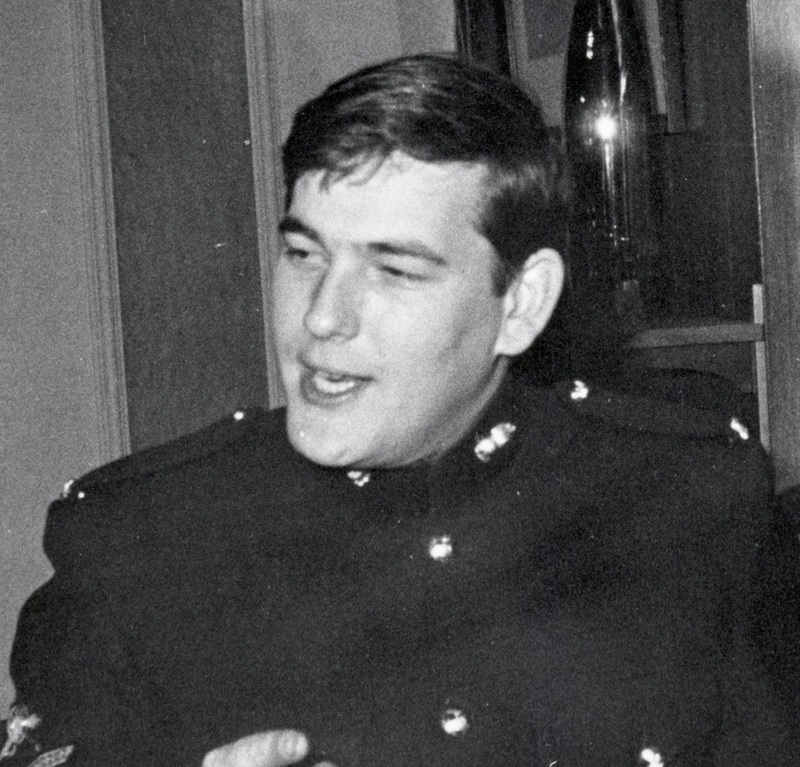 Harsch, Harold Theodore; Taken on strength 15th Field Artillery Regiment RCA 21 Sep 1974, qualified Artilleryman 21 Sep 1974, awarded Most Efficient Recruit of the year trophy 1975, released 14 Oct 1975, enrolled Royal Canadian Navy as officer Cadet 26 Jan 1976, promoted Sub-Lieutenant 1 Apr 1977, served in HMC Ships Fundy, Qu'Appelle and Restigouche, promoted Lieutenant(N) 1 Apr 1980, served in MARPACHQ as Flag Lieutenant to Commander MARPAC 1980, HMCS Cowichan as Executive Officer 1982, HMCS Thunder as Executive Officer 1983, HMCS Kootenay as Above Water Warfare Officer 1984, HMCS Saskatchewan as Operations Officer and Training Officer 1985, promoted Lieutenant-Commander 1 Dec 1986, NOTC Chief Standards Officer 1987, commanded HMCS Cowichan 1989, NDHQ Director Personnel Careers Other Ranks 1991, Canadian Forces Command and Staff College 1993, Executive officer HMCS Iroquois 1994, promoted Commander 1 Jun 1997, 1st Cdn Div HQ (J6) 1997, J7 1999, attended University of Ottawa 2000, NDHQ EA DCDS 2001, commanded HMCS Fredericton Jan 2002 - 29 Aug 2003 (deployed to Arabian Gulf with Op APOLLO 2003), NDHQ D Mil C 2 2003, promoted Captain(N) (MARS) 15 Jun 2014, NDHQ Maritime Staff Chief of Staff 2005, commanded HMCS Athabaskan 2006, Allied Maritime Component Command HQ Northwood 2007, appointed Officer in the Order of Military Merit Oct 2007, appointed Canadian Defence Liaison Staff (London) as Naval Adviser to UK and Northern Ireland, cross accredited as Defence Attaché to Denmark 2009, retired, Chairman of the Royal Canadian Sea Cadet Education Foundation, Vice-President Maritime Affairs Navy League of Canada, appointed Chief of Staff Commissionaires 15 Jan 2016. Hart, Blair Joseph Lee; Taken on strength as a Gunner in 15th Field Artillery Regiment RCA on 10 Jun 1993, released on 9 Apr 1994. Hart, John Lloyd; Taken on strength 15th Field Regiment RCA on 27 Nov 1958, member of 15th Field Regiment RCA CA(M) Military Band on 15 Oct 1959, struck off strength on transfer to 15th Field Regiment RCA CA(M) on 15 Oct 1959. Hart, RG; Bombardier in 31 Battery in 1969. Hartnagel, Hans Joachim; Taken on strength on enrolment in 15th Field Regiment RCA on 18 May 1955, appointed Lance Bombardier on 3 Apr 1956, promoted Acting Bombardier on 15 May 1957, promoted substantive Bombardier on 5 Jul 1957, promoted Acting Sergeant on 1 Sep 1957, promoted substantive Sergeant on 23 Jun 1958, Lieutenant in 15th Field Artillery Regiment RCA in 1962. Harvey, CL; Private in 85 Battery in 1969. Harvey, Dave R; On 1947-1967 list of reunion invitees. Harvey, Henry James; Attested Canadian Overseas Expeditionary Force 13 Nov 1914, #59433 21st Battalion, arrived England 19 May 1915, disembarked Boulogue France 14 Sep 1915, attached 4th Field Company Canadian Engineers for duty with carrying party 28 Aug 1916, gunshot wound leg 16 Sep 1916, invalided to England 28 Sep 1916, taken in strength 2nd Division Machine Gun Company 26 Dec 1916, transferred to King's Canadian RedyX Convalescent Hospital 30 Jan 1917, transferred to Canadian Casualty Assembly Centre 28 Feb 1917, attached Canadian Postal Corps 30 May 1917, appointed Acting Sergeant without Pay 4 Jan 1918, reverts to ranks on transfer to Canadian Reserve Artillery 26 Apr 1918, taken on strength Reserve Brigade Canadian Field Artillery 26 Feb 1918, taken on strength 68th Battery 16th Brigade North Russia Expeditionary Force 21 Aug 1918, proceeded overseas 20 Sep 1918, disembarked Archangel 1 Oct 1918, embarked for the United Kingdom 18 Jun 1919, to Canada 5 Jul 1919, discharged 15 Jul 1919, deceased 1 Mar 1967, interred Pinecrest Cemetery Ottawa ON. Haskell, Peter Raymond; Taken on strength as a Gunner in 15th Field Artillery Regiment RCA on 30 May 1985 released on 1 Jul 1985. ​Haslett, Leonard Duncan; Taken on strength Earl Greys Own Rifles, taken on strength 68th Depot Battery 5 Oct 1916, embarked Canada 15 Dec 1916, disembarked England 26 Dec 1916, taken on strength Reserve Brigade CFA on 28 Dec 1916, posted to 2nd Canadian Divisional Artillery Column on 4 Apr 1917, posted to 6th Brigade Canadian Field Artillery on 13 May 1917, deceased 1 Nov 1917, buried at Vlamertinghe New Military Cemetery Belgium. 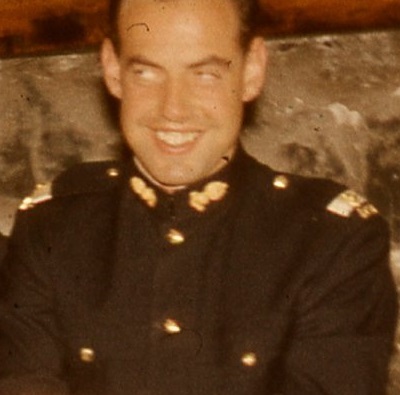 Hassan, Patrick Gerald; Taken on strength 15th Field Regiment RCA on enrolment with former service with Canadian Army (A) on 3 Jan 1956, promoted substantive Sergeant on 1 Sep 1956, promoted Acting Staff Sergeant on 15 Feb 1957, promoted substantive Staff Sergeant on 1 Apr 1958, Warrant Officer Class II in 1961. Hassard, Roger Anthony; Taken on strength as a Gunner in 15th Field Artillery Regiment RCA on 15 Mar 1984, qualified General Military Training on 30 Jun 1984, qualified TQ1 Basic Artillery on 7 Jul 1984, qualified TQ2 Basic Artillery Technician on 10 Aug 1984, promoted Bombardier on 25 Aug 1985, released on 30 Apr 1987. Hassard, Roger Michael; Taken on strength as a Gunner in 15th Field Artillery Regiment RCA on 29 Jun 1984, qualified General Military Training on 10 Aug 1984, qualified TQ1 Basic Artillery on 22 Sep 1984, released on 25 May 1985. Hatch, William George; 68th Battery Canadian Field Artillery Gunner March 1917, England April 1917, "E" Battery CFA June 1917, France 18th Battery CFA Aug 1917, Wounded Amiens Aug 8 1918, Canada and discharged Jan 1919. Hatton, Gerald William; Taken on strength with 15 Coast Regiment RCA on 10 Oct 1946, appointed Lance Bombardier on 8 Sep 1947, appointed Acting Bombardier on 1 Apr 1948, Bombardier on 16 Sep 1948, Sergeant listed on the Warrant Officers and Sergeant’s Mess gong. 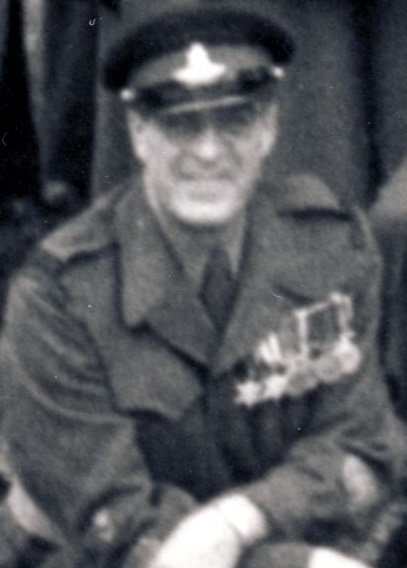 Hatton, Gerard Frederick; Taken on strength in 15th Field Regiment RCA on 2 Oct 1952, promoted Acting Bombardier on 15 Jan 1957, promoted substantive Bombardier on 5 Jul 1957, promoted Acting Sergeant on 1 Sep 1957. Hauge, George Christopher; Taken on strength as a Gunner with 85th Battery 15th (Vancouver) Coast Regiment RCA NPAM on 30 Aug 1940, assigned regimental number V10430, assigned new regimental number K417532. 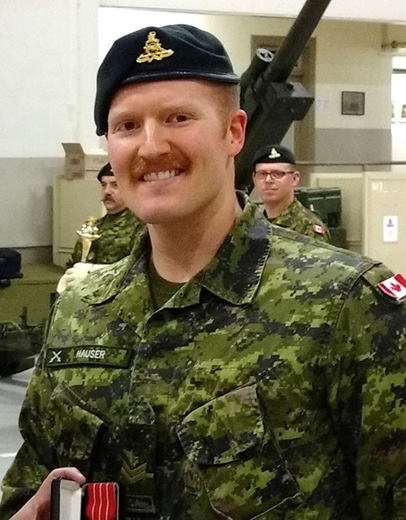 ​Hauser, Tim J; Taken on strength as a Musician in 15th Field Artillery Regiment RCA, Master Bombardier from 2014 to 2017. Hawkins, Hedley; 104th Westminster Fusiliers, Farrier Sergeant in 15th Brigade Canadian Field Artillery in 1916, 13th Brigade Canadian Field Artillery in 1918, Mentioned in Dispatches, deceased 26 Apr 1970 Vancouver BC. 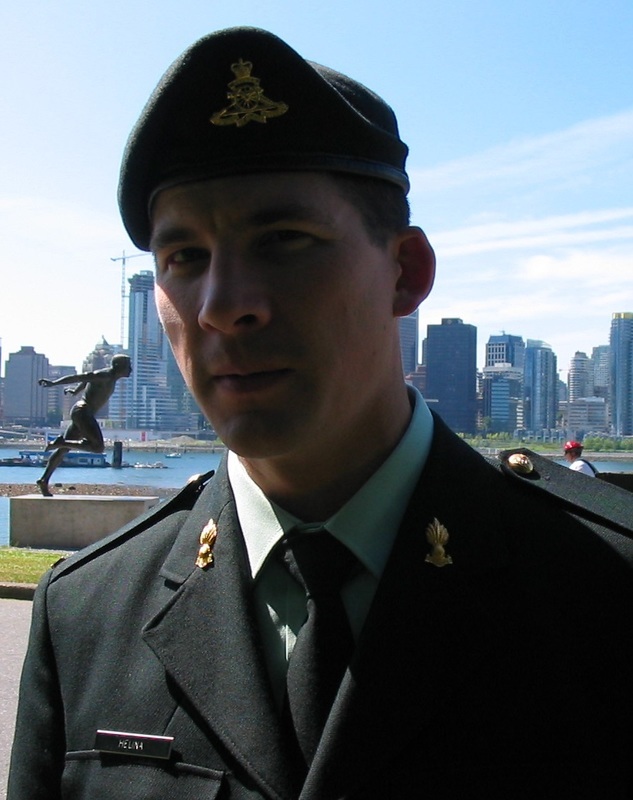 Hawkshaw, Robert Stephan; ​Taken on strength as a Gunner in 15th Field Artillery Regiment RCA on 2 May 2002, qualified QL2 Basic Military Qualification on 26 Jul 2002, QL3 Artillery on 7 Aug 2002, released on 25 Sep 2003. 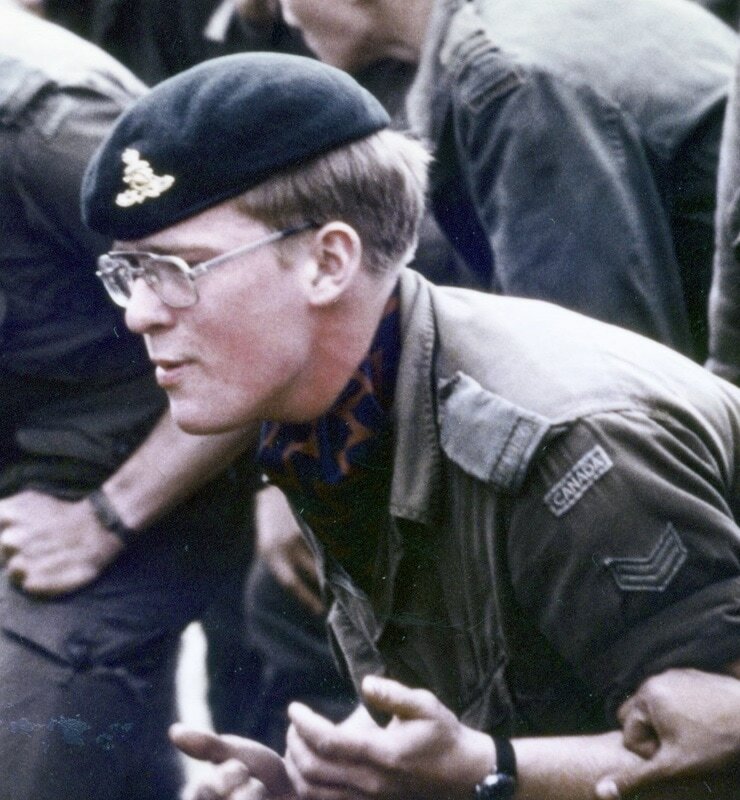 ​Hawley, DL Holly; Second Lieutenant in Regimental Headquarters in 1969. Hawrylecki, Michael James; Taken on strength as a Gunner in 15th Field Artillery Regiment RCA on 5 Dec 1992, qualified QL2 Basic Military Qualification on 23 May 1993, qualified QL3 Artillery on 28 Jul 1993, QL4 Artillery on 9 Nov 1993, released on 25 Sep 2003. ​Hawthorne, John Edmund; Lieutenant 1st Surface to Surface Missile Regiment Royal Canadian Artillery as at 1 Nov 1965 to 1 Nov 1967, Western Quebec District I Staff as at 1969, Captain Artillery Instructors Course as at 1970, Canadian Forces Base Bagotville as at 1971 to 1973, 3rd Regiment Royal Canadian Horse Artillery as at 1973 to 31 Dec 1977, 15th Field Artillery Regiment RCA as Regular Force Support Staff Captain as at 31 Dec 1978 to 31 Dec 1981, component transferred to Reserve Force on 16 Jan 1991, transferred to Supplementary Ready Reserve on 1 Mar 1993. Hay, Percy Thornton; Taken on strength as administrative staff (instructor) Gunner with 15th (Vancouver) Coast Regiment RCA NPAM on 1 Aug 1940, attended instructors course Heals Camp on 19 Aug 1940, appointed Acting Lance Sergeant, assigned new regimental number K415001 10 Oct 1940. Hayden, Earle Brenton; Taken on strength with Prince Edward Island Heavy Brigade Canadian Garrison Artillery, taken on strength as a Gunner with the No. 5 Siege Battery Canadian Garrison Artillery on 24 Jun 1916, embarked on the S.S. Southland on 26th Sep 1916, unit renamed 8th Siege Battery Canadian Garrison Artillery on 31 Mar 1917, landed in France on 31 Jul 1917, to rest camp 5 Oct 1917, rejoined unit 16 Oct 1917, proceeded on leave on 29 Jan 1918, rejoined unit 14 Feb 1918, absorbed into 3 Brigade Canadian Garrison Artillery on 3 Apr 1918, gassed on 28 May 1918, invalided to England on 4 Jun 1918, taken on strength Canadian Artillery Replacement Depot on 5 Jun 1918, attached to 2nd CCD on 26 Jul 1918, cease attachment on 13 Sep 1918, taken on strength with Composite Brigade Canadian Siege Artillery on 13 Sep 1918, struck off strength to Canada on 9 Jan 1919, demobilized on 7 Feb 1919, deceased 21 May 1974. Haydock, Eleanor; On 1947-1967 list of reunion invitees. Hayes, Travis Mitchell; Taken on strength as a Gunner in 15th Field Artillery Regiment RCA on 10 Oct 2002, released on 10 Jan 2002. Hayward, H O'B; Lieutenant in 58th Heavy Battery in 1939. Attached from the Royal Artillery. Hazelwood, David Alan; Second Lieutenant in 102nd Coast Regiment RCA in 1954, taken on strength on transfer 15th Field Regiment RCA on 25 Oct 1954, promoted Lieutenant on 1 Dec 1955, struck off strength on transfer to Supplementary Reserve (RCA) on 1 Sep 1958. Healey, Robert Patrick; Posted to 15th Field Artillery Regiment RCA as Regular Force Support Staff Master Bombardier on 1985, transferred to Primary Reserves on 9 Oct 1990, qualified QL1 Artilleryman, qualified 022 Air Defence, qualified QL2 Artillery Driver Wheeled, qualified QL3 Artilleryman, qualified QL4 Artillery, qualified Artillery Advanced Surveyor, qualified Combat Storesman, qualified Driver Tracked, promoted Sergeant on 12 Mar 1992, released 8 Nov 1995. Healey, William Patrick; Taken on strength as a Gunner in 15th Field Artillery Regiment RCA on 20 Jun 1987, qualified General Military Training on 13 Aug 1987, qualified TQ1 Artillery on 11 Feb 1988, promoted Bombardier on 20 Jun 1989, QL4 Artillery on 3 Feb 1994, released on 22 Sep 1994. Hearn, Alfred Edward; Taken on strength Coldstream Guards for 5 years, attested Canadian Overseas Expeditionary Force 24 Sep 1914, regimental #42135, 7th Battery 3rd Brigade, forfeits 8 days pay 13 Nov 1914, forfeits 14 days pay 15 Dec 1914, embarked for France 11 Feb 1915, promoted Bombardier 5 May 1915, appointed Acting Corporal 18 Mar 1916, granted 8 days leave 24 Mar 1916, returned from leave 4 Apr 1916, promoted Corporal 30 May 1916, accidentally wounded left arm/chest and right hand 21 Oct 1916, taken on strength Reserve Brigade Canadian Field Artillery 10 May 1917, on leave 17 May 1917, rejoined unit 23 May 1917,posted to 5th Battery Canadian Field Artillery 12 Jun 1917, taken on strength E Battery 2nd Brigade Canadian Field Artillery 22 Jun 1917, taken on strength Canadian Artillery Regimental Depot 21 Aug 1918, reverts to permanent grade Corporal on ceasing employment 21 Aug 1918, taken on strength 68th Battery 16th Brigade North Russia Expeditionary Force 21 Aug 1918, appointed Acting Battery Quartermaster Sergeant with pay 21 Aug 1918, proceeded overseas 20 Sep 1918, confirmed rank Battery Quarter Master Sergeant 29 Dec 1918, disembarked Archangel 1 Oct 1918, embarked for United Kingdom 18 Jun 1919, proceeded to Canada 5 Jul 1919, discharged 15 Jul 1919, deceased 12 Mar 1966. Heartz, John Edward; Taken on strength with Prince Edward Island Heavy Brigade Canadian Garrison Artillery, taken on strength as a Gunner with the No. 5 Siege Battery Canadian Garrison Artillery on 6 May 1916, embarked on the S.S. Southland on 26th Sep 1916, unit renamed 8th Siege Battery Canadian Garrison Artillery on 31 Mar 1917, landed in France on 31 Jul 1917, proceeded on leave 18 Jan 1918, rejoined unit 6 Feb 1918, absorbed into 3 Brigade Canadian Garrison Artillery on 3 Apr 1918, proceeded to England on 28 Mar 1919, transferred to 2 Canadian Siege Battery on 4 Apr 1919, struck off strength to Canada on 3 May 1919, demobilized on 18 May 1919. Heaton, Andrew James; Taken on strength as a Gunner in 15th Field Artillery Regiment RCA on 26 Apr 1994, qualified QL2 Common Recruit on 16 Aug 1994, qualified QL3 Artilleryman on 14 Jul 1995, qualified LFC Driver Wheeled on 25 Jan 1997, qualified Artillery Technician Part I,II & III on 8 Aug 1997, promoted Bombardier on 1 Sep 1997, Gunner on 9 Jun 1998, promoted Bombardier on 21 Jun 1999, released. Hebert, Daniel Edward; Taken on strength 15th Field Artillery Regiment RCA on 4 Jul 1977, released 28 Aug 1977. Hebert, JP; Taken on strength in 15 Field Regiment RCA on 20 Apr 1950, appointed Bombardier on 20 Apr 1950, appointed Acting Sergeant on 7 Jul 1950, relinquishes the appointment of Acting Sergeant on 13 Nov 1952, struck off strength on 13 Oct 1952. Hebert, Ronald Brett; Taken on strength 15th Field Artillery Regiment RCA on 1 Mar 1977, released 22 Jul 1977. ​Hedberg, JL; Warrant Officer Class II listed on the Warrant Officers and Sergeant’s Mess gong. Hefti, Stephanie Elisabeth; ​Taken on strength as a Gunner in 15th Field Artillery Regiment RCA on 21 Mar 1995, qualified QL2 Basic Military Qualification on 11 Aug 1995, qualified QL3 Artillery on 10 Nov 1995, released. ​Heinricks, Grace Marie; Taken on strength 15th Field Regiment RCA on transfer from 111 Manning Depot CA (M) on 18 Jan 1957, appointed Lance Corporal on 15 Sep 1958. Heldon, F; Struck off strength as a Gunner from 15 Fd Regiment RCA on 23 Nov 1950. ​Helina, Robert Thomas; Taken on strength as a Second Lieutenant in 15th Field Artillery Regiment RCA on 3 Jun 2003 to 2014. Heller, William Frederick; Served in the 4th Manchester Regiment, taken on strength 58th Heavy Battery 15th (Vancouver) Coast Regiment RCA CASF on 24 Sep 1939, appointed provisional Bombardier on 25 Oct 1939, appointed Lance Sergeant on 1 Aug 1940, qualified Quartermaster Sergeant on 11 Jun 1941, reverted to Bombardier at his own request on 15 August 1941, posted to XI District Depot (RCCS Wing) on 18 Sep1942, transferred to Canadian Army Overseas R.C.C.S. No. 2 Canadian Wireless Intelligence Section on 25 Oct 1942, admitted to 8 Canadian General Hospital on 23 Nov 1942, taken on strength XI District Depot Vancouver on 23 Jan 1943, discharged as physically unfit for military service on 5 April 1943, deceased 13 Mar 1945 from coronary thrombosis and coronary sclerosis, buried at Mountain View Cemetery. Helliwell; Gunner in 210 Battery 15th Field Artillery Regiment RCA in 1961, awarded Best Gunner in 210 Battery trophy. Helmcken, John Sebastian; Attested Canadian Overseas Expeditionary Force 16 May 1916, assigned Regimental # 332905, taken on strength 62nd Battery 15th Brigade Canadian Field Artillery, embarked Halifax 11 Sep 1916, disembarked Liverpool 22 Sep 1916, absorbed by 58th Battery 14th Brigade Canadian Field Artillery 22 Jan 1917, landed in France 22 Aug 1917, granted 14 days leave 21 Dec 1917, rejoined unit 7 Jan 1918, hospitalized fever of unknown origin 30 Aug 1918, rejoined unit 11 Sep 1918, appointed Bombardier 17 Oct 1918, granted 14 days leave United Kingdom 11 Jan 1919, rejoined unit 2 Feb 1919, promoted Corporal 4 Mar 1919, posted to Canadian Artillery Reinforcement Depot 22 Apr 1919, struck off strength to Canada 10 May 1919, discharged 24 May 1919, Osteopath, entered United States of America for permanent residency Jan 1930, married Olive St. Brether 12 Jul 1930 in Beverly Hills California, divorced, deceased 14 Mar 1988. Helme, Thomas; Taken on strength as a Gunner with 58th Battery 15th (Vancouver) Coast Regiment RCA NPAM on 7 Aug 1940, assigned regimental number V9952, assigned new regimental number K416568. Hemenway, Howard Hamlin; Attested Canadian Overseas Expeditionary Force 3 Jul 1915, regimental #308694, Gunner 65th Overseas Depot Battery Canadian Field Artillery, Harvest Leave Aug 1915, 44th Battery 10th Brigade, embarked for overseas 26 Feb 1916, arrived England 12 Mar 1916, transferred to 11th Brigade 24 May 1916, 1st Divisional Artillery Column 25 Oct 1916, influenza 23 Mar 1917, rejoined unit 2 Apr 1917, accidental shrapnel wound 31 Jul 1917, returned to unit 14 Aug 1917, granted leave of absence 4 Dec 1917, rejoined unit 19 Dec 1917, shelled gas 8 Apr 1918, invalided taken on strength Canadian Artillery Regimental Depot 15 Apr 1918, awarded one good conduct badge 3 Jul 1917, taken on strength 68th Battery 16th Brigade North Russia Expeditionary Force 21 Aug 1918, proceeded overseas 20 Sep 1918, disembarked Archangel 1 Oct 1918, embarked for United Kingdom 18 Jun 1919, proceeded to Canada 5 Jul 1919, discharged 17 Jul 1919, deceased 14 May 1952, interred Saint Vital Cemetery Winnipeg MB. ​Henderson, Ardern; Attested Canadian Overseas Expeditionary Force 4 Feb 1918, regimental #1251422, Driver 78th Overseas Depot Battery Canadian Field Artillery, arrived England 3 Apr 1918, taken on strength 68th Battery 16th Brigade North Russia Expeditionary Force 7 Sep 1918, proceeded overseas 20 Sep 1918, disembarked Archangel 1 Oct 1918, embarked for United Kingdom 18 Jun 1919, proceeded to Canada 18 Jul 1919, discharged 2 Aug 1919. ​Henderson; Gunner in 58th Battery 15th Coast Brigade RCA in 1941. Henderson, David Lyle Taussin; Taken on strength as a Gunner in 15th Field Artillery Regiment RCA on 6 May 1999, released on 8 Mar 2001. Henderson, Gibb Gilmour; Taken on strength 31 Battery 15th (Vancouver) Coast Brigade RCA NPAM 6 Aug 1940, assigned regimental number VV9444, assigned new regimental number K415553. 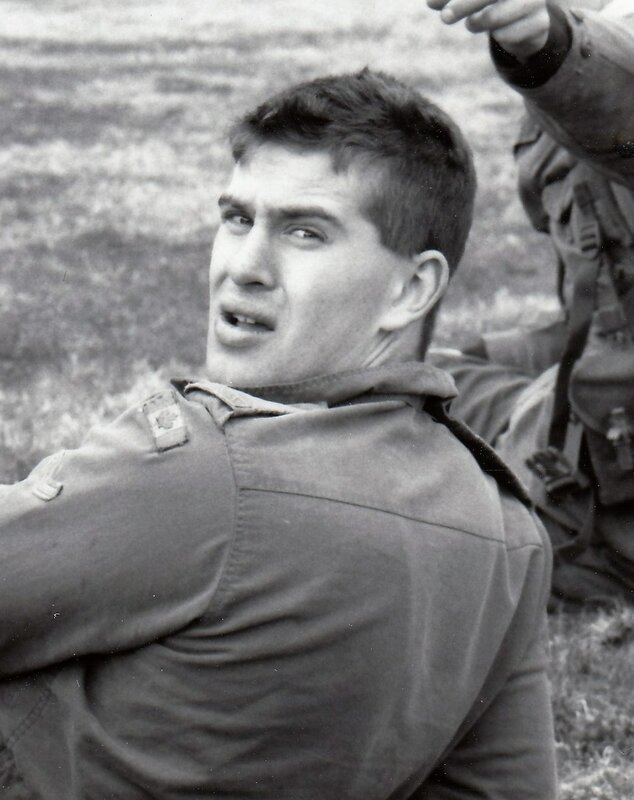 ​Hendren, William George; Taken on strength 15th Field Regiment RCA with former service Canadian Army (R) on 5 Dec 1957. Hendrikse, Marius; Taken on strength 15th Field Regiment RCA on 25 Nov 1958. Hendry, Jeremy Alexander Norman; Taken on strength as a Gunner in 15th Field Artillery Regiment RCA on 22 Feb 1994, released on 15 Feb 1996. 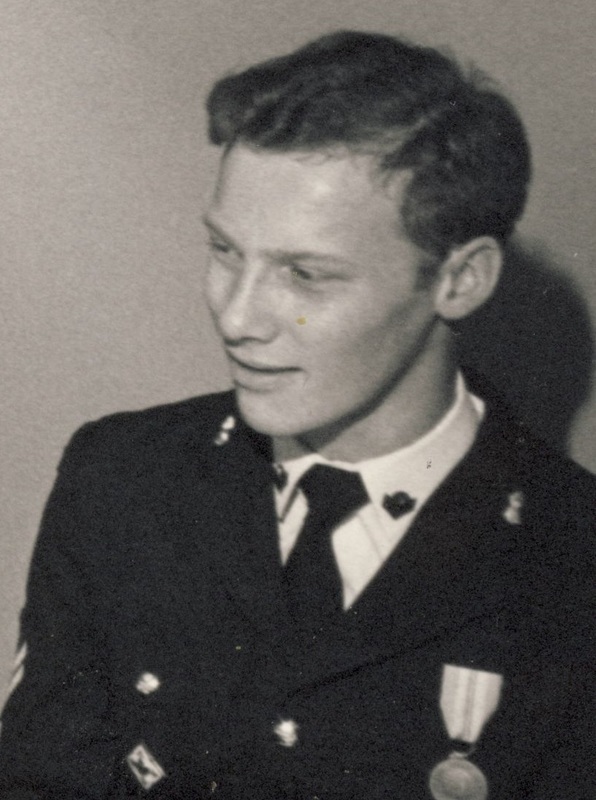 Hendry, Leonard James; ​Taken on strength 15th Field Regiment RCA on 16 Oct 1958. ​Hennessy, Michael Alphonsus; Taken on strength 15th Field Artillery Regiment RCA on 26 Feb 1976, qualified Artilleryman on 3 Aug 1976, qualified Artillery Communicator on 9 Jan 1977, promoted Bombardier on 1 Apr 1977, operational tour with United Nations Emergency Force Middle East from 30 Jul 1978 to 7 Mar 1979, promoted Master Bombardier on 1 Apr 1979, qualified Artillery Detachment Commander on 5 Apr 1980, promoted Sergeant on 1 May 1981, transferred to Seaforth Highlanders of Canada on 17 May 1982. Henrickson, Lennart Eric; Taken on strength as a Musician in 15th Field Artillery Regiment RCA on 29 Oct 1975, released 13 Jan 1977. Henry, W; Gunner in 43rd Heavy Anti-Aircraft Regiment RCA in 1947. Herath, Rumali; Taken on strength as a Gunner in 15th Field Artillery Regiment RCA, Private in 2017. Herman, David Leon; Taken on strength with 15 Field Regiment RCA on 5 Feb 1948, appointed Lance Bombardier on 16 Sep 1948, struck off strength on 26 Jan 1951, taken on strength on 18 Mar 1954, struck off strength on release on 10 Feb 1955. Hermann, Thomas Charles; Taken on strength as a Gunner in 15th Field Artillery Regiment RCA on 27 Jan 1983, released on 12 May 1983. Herstad, Johan; Attested Canadian Overseas Expeditionary Force 11th Oct 1916, #2001329, arrived England 6 Feb 1917, taken on strength Reserve Brigade Canadian Field Artillery 7 Feb 1917, admitted hospital 4 Mar 1917, taken on strength 3rd Divisional Ammunition Column 18 May 1917, admitted to hospital 25 May 1917, discharged to duty 28 May 1917, admitted to hospital 19 Nov 1917, taken on strength Canadian Artillery Regimental Depot 30 Nov 1917, hospitalized 22 May 1918, returned to Canadian Artillery Regimental Depot 16 Aug 1918, taken on strength Composite Brigade taken on strength 68th Battery 16th Brigade North Russia Expeditionary Force 21 Aug 1918, proceeded overseas 20 Sep 1918, disembarked Archangel 1 Oct 1918, hospital arthritis 6 Jan 1919, to hospital VDG 12 Feb 1919, awarded 7 days Field Punishment #1 absent from hospital while a patient suffering from a contagious disease for 8:45 PM to 11:30 PM 1 Mar 1919, discharged to duty 14 Mar 1919, embarked for United Kingdom 18 Jun 1919, discharged in England 17 Jul 1919. Hess, N; ​Lieutenant in Corps Reserve for 15th Brigade Canadian Field Artillery in 1922, Lieutenant in 31st Battery from 1923 to 1925, attended camp school of artillery at Sarcee 6-21 August 1923. Hesselgrave, Ian Barry; Taken on strength as a Gunner in 15th Field Artillery Regiment RCA on 9 Jan 1983, released on 20 Jun 1983. Hetherington, Alan Fraser; Taken on strength as a Musician in 15th Field Artillery Regiment RCA on 30 May 1985, qualified general Military Training on 11 Jul 1985, qualified TQ1 Musician on 2 Aug 1985, promoted Bombardier on 1 Jun 1986, released on 15 Nov 1986. Heyman, Russell Todd; Taken on strength as a Gunner in 15th Field Artillery Regiment RCA on 31 Jul 1990, qualified General Military Training on 31 Aug 1990, qualified QL3 Artilleryman on 9 Aug 1991, qualified FMC Driver Wheeled on 15 Jun 1992, qualified QL4 communications on 17 Jul 1992, qualified Forward Observation Officer Technician on 31 Jul 1992, released 15 Nov 1993. Heys, Thomas King; ​Taken on strength 31 Battery 15th (Vancouver) Coast Brigade RCA NPAM 6 Aug 1940, assigned regimental number VV9445, assigned new regimental number K415554. Hibbert, Derek Oldham; Taken on strength 43rd Anti-Aircraft Regiment RCA CA (M) Military Band with former service British Army on 1 Dec 1958, struck off strength on release on 1 Jun 1959. Hicken, David Lloyd; Taken on strength with Prince Edward Island Heavy Brigade Canadian Garrison Artillery, taken on strength as a Gunner with the No. 5 Siege Battery Canadian Garrison Artillery on 15 May 1916, embarked on the S.S. Southland on 26th Sep 1916, unit renamed 8th Siege Battery Canadian Garrison Artillery on 31 Mar 1917, landed in France on 31 Jul 1917, isolated with measles on 7 Nov 1916, discharged 27 Nov 1916, attached to 100 Siege Battery Royal Garrison Artillery 4 Sep 1917, rejoined unit 5 Oct 1917, absorbed into 3 Brigade Canadian Garrison Artillery on 3 Apr 1918, gassed 29 May 1918, taken on strength Canadian Artillery Reinforcement Depot on 4 Jun 1918, taken on strength Comp Brigade CRA on 9 Sep 1918, struck off strength to Canada on 9 Jan 1919, demobilized on 7 Feb 1919, deceased 23 Apr 1972. Hickey, Charles Hartwell; Taken on strength with Prince Edward Island Heavy Brigade Canadian Garrison Artillery, taken on strength as a Gunner with the No. 5 Siege Battery Canadian Garrison Artillery on 9 Jun 1916, embarked on the S.S. Southland on 26th Sep 1916, unit renamed 8th Siege Battery Canadian Garrison Artillery on 31 Mar 1917, landed in France on 31 Jul 1917, attached to I.O.M. Workshop with Guns on 31 May 1917, rejoined unit 3 Jun 1917, gassed 29 Jul 1917, taken on strength Canadian Artillery Reinforcement Depot on 7 Aug 1917, attached to 2 CCD on 12 Oct 1917, cease attachment on 29 Nov 1917, taken on strength Reserve Battery Canadian Garrison Artillery on 29 Nov 1917, landed in France 3 Apr 1918, appointed Acting Bombardier 22 Jun 1918, Artillery Course 1 Nov 1918, promoted Bombardier 22 Nov 1918, proceeded to England 28 Mar 1919, transferred to 2 Canadian Siege Battery on 4 Apr 1919, struck off strength to Canada on 3 May 1919, demobilized on 18 May 1919, deceased 10 Oct 1920 of Pulmonary Tuberculosis, buried at St. Mary's Indian River PEI. Hickey, Laura Elizabeth; Taken on strength as an Administrative Clerk in 15th Field Artillery Regiment RCA on 2 Mar 1976, released 25 Nov 1976. Hickling, Frank George; ​Attested into 65th Battery 15th Brigade Canadian Field Artillery as a Gunner 5 May 1916, No 335931, embarked Halifax 23 Jul 1916, arrived Liverpool 31 Jul 1916, taken on strength Reserve Brigade 31 Jul 1916, taken on strength 2nd Reserve Brigade 22 Jun 1917, taken on strength 5th Canadian Siege Battery 17 Jul 1917, transferred to Canadian Labour Pool 12 Feb 1918, transferred to England for return to Canada to resume farming 6 Mar 1918, struck off strength to Canada 3 May 1919, returned to Canada 26 Jun 1919, discharged 5 Jul 1919, deceased 1 May 1966. 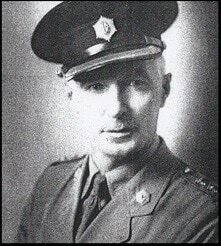 Hicks, Ken W; Major in 31 Battery 15th (Vancouver) Coast Brigade RCA in 1939 and 1940, Second in Command in 1940, promoted Lieutenant Colonel and appointed Commanding Officer 5th (British Columbia) Coast Brigade RCA CASF 29 Jun 1945, awarded Efficiency Decoration Feb 1945. Hicks, Thomas Hugh; Taken on strength as a Gunner in 15th Field Artillery Regiment RCA on 22 May 1986, qualified General Military Training on 9 Aug 1986, released on 23 Oct 1986. Hiebert, William Edwin; Taken on strength as a Gunner in 15th Field Artillery Regiment RCA on 2 Mar 1976, qualified Artilleryman on 3 Aug 1976, promoted Bombardier on 1 Apr 1977, qualified Artillery Communicator on 2 Aug 1977, qualified Driver Wheeled on 25 Aug 1977, promoted Master Bombardier on 31 Aug 1979, released 1 Oct 1981. Higinbotham, Alan Albert; Taken on strength in 15th Coast Regiment RCA on 24 Oct 1946, appointed Acting Bombardier on 8 Sep 1947, struck off strength on 1 Mar 1949. 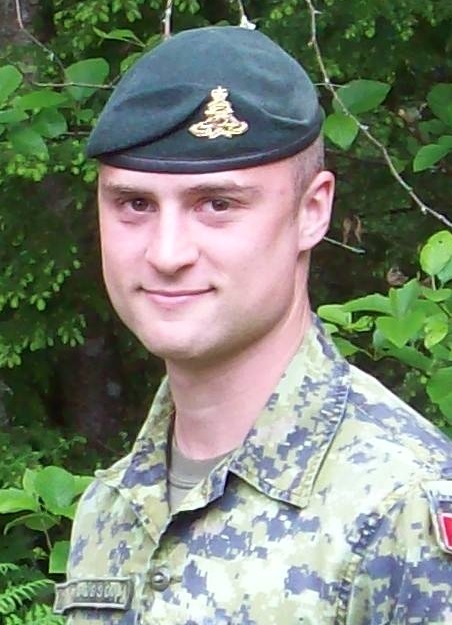 Hilbich, Stephan T; Taken on strength as a Gunner in 15th Field Artillery Regiment RCA, Bombardier in 2014. Hildebrandt, Robin Walline; Taken on strength as a Gunner in 15th Field Artillery Regiment RCA on 14 Feb 1995, released on 9 Sep 1996. 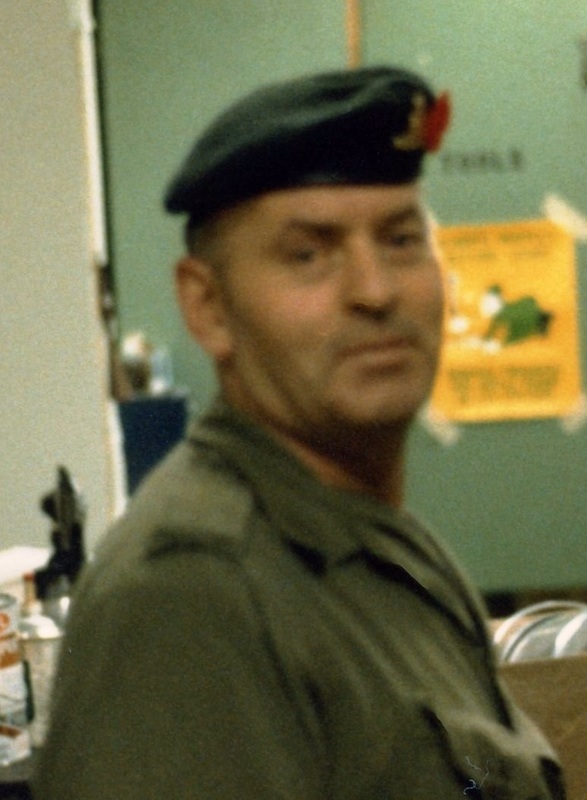 ​Hill, Brian Hailey; Taken on strength as a Gunner in 15th Field Artillery Regiment RCA on 14 Sep 1968, qualified General Military Training on 22 Mar 1968, qualified Artilleryman(M) on 23 Aug 1969, qualified Junior NCO on 30 Dec 1973, promoted Bombardier on 1 Mar 1974, qualified Senior NCO on 3 Nov 1974, promoted Sergeant on 1Nov 1975, qualified TQ2 Artillery Driver Wheeled on 1 Feb 1977, qualified TQ2 Basic Artillery Technician on 13 Aug 1978, promoted Warrant Officer on 1 Sep 1978, qualified Defensive Driving Instructor on 4 Feb 1979, released 23 Dec 1980, enroled on 19 May 1981, transferred to 7th Toronto Regiment RCA on 3 Sep 1987. Hill, Gordon Nicholson; Taken on strength 2nd Battalion Irish Fusiliers (Vancouver Regiment), assigned regimental number K449597, taken on strength 31st Heavy Battery 15th (Vancouver) Coast Brigade RCA NPAM as a Gunner 10 Dec 1940. Hill, PM; Private in 31 Battery in 1969. 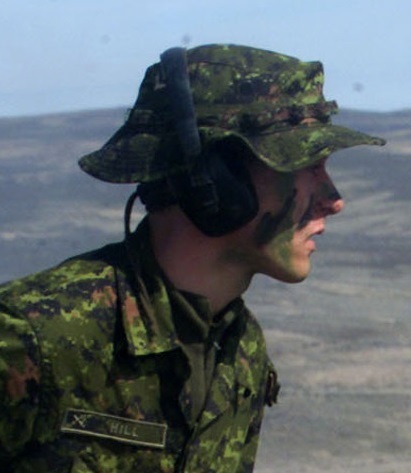 ​Hill, Robert Anthony; Taken on strength as a Gunner in 15th Field Artillery Regiment RCA on 13 Jun 2002, Basic Military Qualification on 26 Jul 2002, qualification Level 3 Artilleryman on 30 Aug 2002, Bombardier from 2004 to 2014. 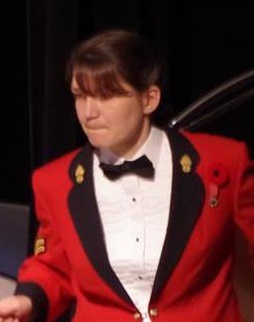 Hillier, Tiffany L; Taken on strength as a Musician in 15th Field Artillery Regiment RCA, Bombardier from 2014 to 2017. Hillman, R; Taken on strength 15th Field Artillery Regiment RCA, Ex Limber Gunner 18 Mar 1984. Hillock, William Omer Michael; Taken on strength 15th Field Regiment RCA on 24 Jun 1958, promoted substantive Bombardier on 24 Jun 1958. Hillyer, D; Member of 15th Field Regiment RCA CA(M) Military Band on 1 Nov 1959, struck off strength on release on 1 Nov 1959. 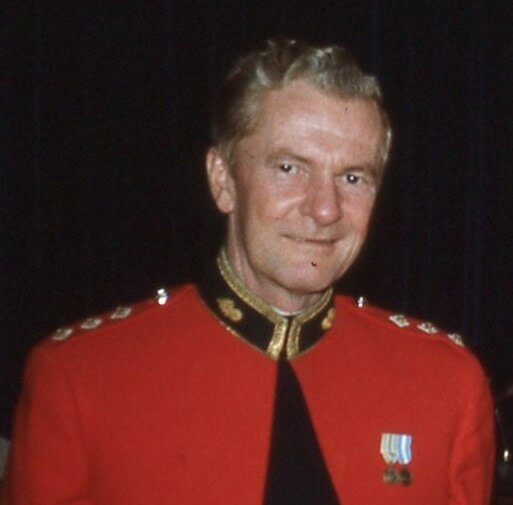 ​Hilton, Audrey I; Corporal in 15th Field Artillery Regiment RCA in 1965, Sergeant in Regimental Headquarters from 1967 to 1969, awarded the Dumoulin Trophy in 1967. 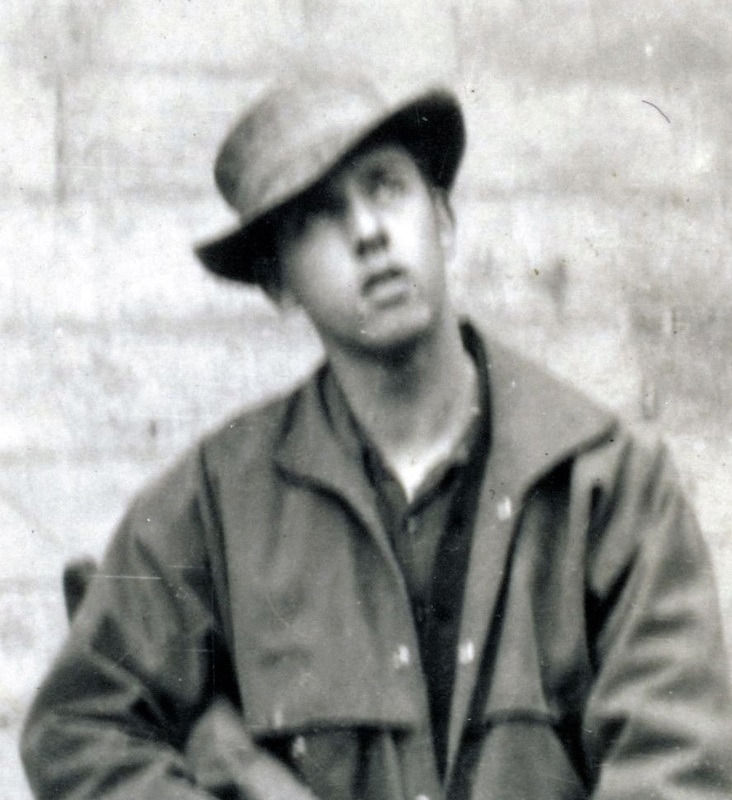 Hine, Ernest Herbert; Taken on strength with Prince Edward Island Heavy Brigade Canadian Garrison Artillery, taken on strength as a Gunner with the No. 5 Siege Battery Canadian Garrison Artillery on 25 Apr 1916, embarked on the S.S. Southland on 26th Sep 1916, isolated with Rubella 29 Nov 1916, rejoined unit 8 Dec 1916, unit renamed 8th Siege Battery Canadian Garrison Artillery on 31 Mar 1917, landed in France on 31 Jul 1917, sentenced 4 days field punishment #1 on 8 Dec 1917, to ammo dump as guide at Dinkeyville on 2 Apr 1918, absorbed into 3 Brigade Canadian Garrison Artillery on 3 Apr 1918, sentenced to 4 days field punishment #1 on 26 Apr 1918, rejoined unit on 30 Apr 1918, hospitalized on 19 May 1918, invalided to Canadian Artillery Reinforcement Depot on 11 Jul 1918, attached to 2 CCD on 13 Sep 1918, cease attachment on 8 Oct 1918, demobilized on 1 Jul 1919. Hinz, Dieter William; Taken on strength as a Gunner in 15th Field Artillery Regiment RCA on 28 Sep 1985, released on 16 Dec 1985. Hippel; Gunner in 31 Battery 15th Field Artillery Regiment RCA in 1961. Histed, RG; Struck off strength from 15th Field Regiment RCA on 18 Jul 1951. 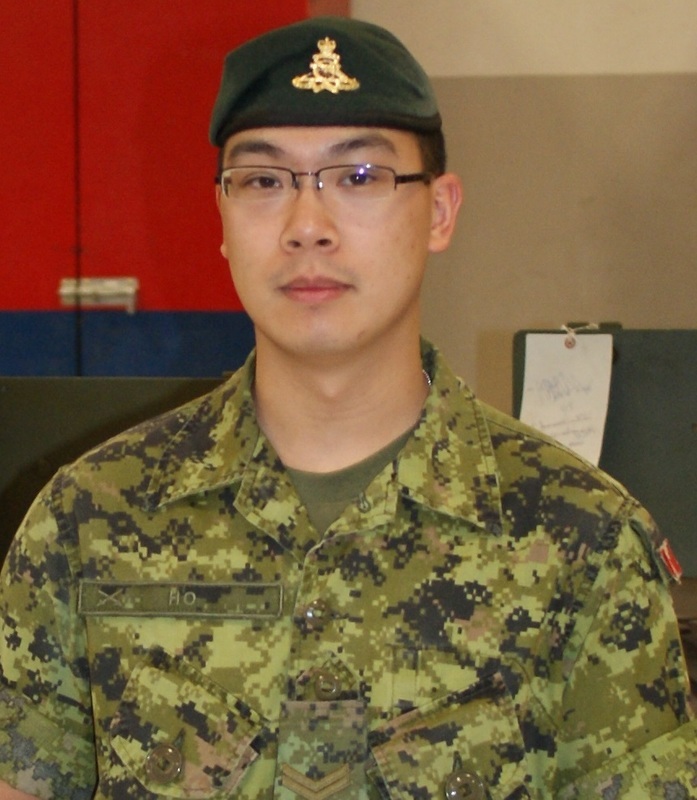 Ho, Ian Chun-Han; Taken on strength as a Gunner in 15th Field Artillery Regiment RCA on 26 Jun 2002, qualified Basic Military Qualification 2 on 26 Jul 2002, qualified Artilleryman on 30 Aug 2002, qualified Artillery Communications on 16 Mar 2003, Bombardier from 2010 to 2017. ​Ho, Jeff; Taken on strength to 158 Battery 15th Field Artillery Regiment RCA as a Gunner in 1966, promoted Bombardier Feb 1967, qualified Artillery Technician Apr 1967, qualified Senior Non-Commissioned Officer 29 Jul 1967, promoted Sergeant Mar 1968, Gun Sergeant 1968 -1969, listed on MOBCOM Cup. Hoang; Taken on strength in 15th Field Artillery Regiment RCA, Gunner in 2010. Hobday, JA; Enlisted as a Gunner in 15th (Vancouver) Coast Brigade RCA RF on 2 April 1941. ​Hobkirk, Robert Marshall; Taken on strength as a Gunner with 58th Battery 15th (Vancouver) Coast Regiment RCA NPAM on 7 Aug 1940, assigned regimental number V9953, assigned new regimental number K416569. Hockeridge, John Carman; Taken on strength as a Gunner with 85th Battery 15th (Vancouver) Coast Regiment RCA NPAM on 2 Aug 1940, assigned regimental number V10420, assigned new regimental number K417533, to be Acting Lance Bombardier 19 Nov 1940. Hodgins, James Fay; Taken on strength 31 Battery 15th (Vancouver) Coast Brigade RCA NPAM 31 Jul 1940, assigned regimental number VV9446, appointed Acting Bombardier 15 Sep 1940, assigned new regimental number K415511. Hodgkinson, Sydney; 5th Regiment Canadian Garrison Artillery, Orderly Room Sergeant in 15th Brigade Canadian Field Artillery in 1916. 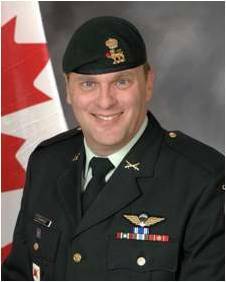 Hodgson, Kyle Alexander; Taken on strength as a Gunner in 15th Field Artillery Regiment RCA 9 May 2002, qualified Basic Military Qualification 26 Jul 2002, qualified QL3 Artillery 30 Aug 2002, qualified QL4 Artillery Communications 16 Mar 2003, Bombardier in 2004, promoted Master Bombardier Nov 2011, promoted Sergeant Jan 2017. Hoe, Alfred Samuel; Taken on strength 15 Field Regiment RCA on 18 Mar 1954 with former service British Army, appointed Lance Bombardier on 1 Jun 1955, promoted Acting Bombardier on 1 Apr 1957, promoted substantive Bombardier on 5 Jul 1957, appointed Lance Sergeant on 1 Apr 1958, Sergeant listed on the Warrant Officers and Sergeant’s Mess gong. Hoffman, Dale Patrick; Taken on strength 15th Field Artillery Regiment RCA on 27 Jun 1974, released 23 Oct 1975. 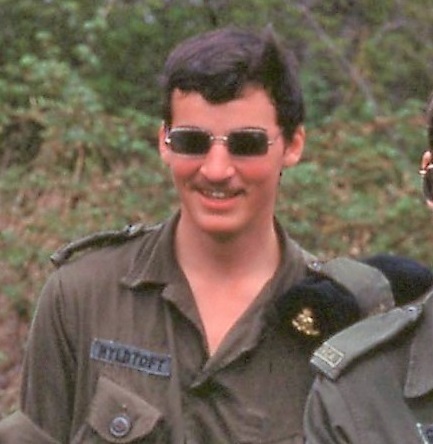 Hoffman, Kenneth Charles; Taken on strength as a Musician in 15th Field Artillery Regiment RCA on 21 Jun 1984, qualified General Military Training on 17 Aug 1984, qualified TQ1 Musician on 17 Aug 1984, promoted Bombardier on 27 Jun 1985, transfer to Supplementary List, released on 24 May 1990, re-enroled as a Gunner on 27 Sep 1986, promoted Bombardier on 27 Sep 1986, qualified Musician ITT Saxophone on 15 Aug 1987, qualified TQ1 Artilleryman on 18 Jul 1987, qualified Junior Leader I & II on 13 Jun 1989, MOC Change to Musician on 1 Nov 1989, promoted to Master Bombardier on 13 Jun 1989, released 24 May 1990. 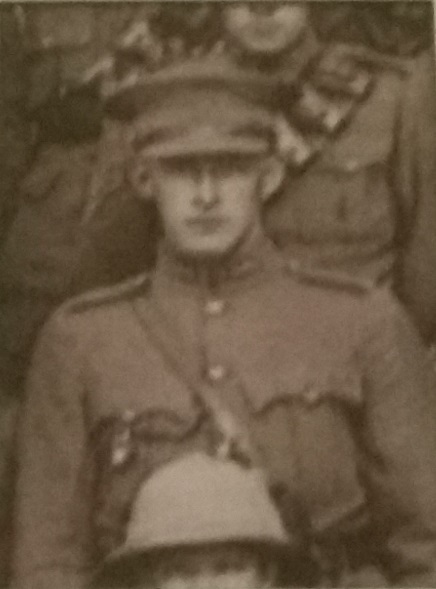 Hogan, Joseph Henry; Taken on strength with 4th Regiment from 1910 to 1916, taken on strength with Prince Edward Island Heavy Brigade Canadian Garrison Artillery, taken on strength as a Gunner with the No. 5 Siege Battery Canadian Garrison Artillery on 17 Apr 1916, promoted provisional Bombardier on 25 Sep 1916, embarked on the S.S. Southland on 26th Sep 1916, unit renamed 8th Siege Battery Canadian Garrison Artillery on 31 Mar 1917, landed in France on 31 Mar 1917, confirmed Corporal 10 Jun 1917, promoted Sergeant 18 Jul 1917, to Rest Camp on 5 Oct 1917, rejoined unit 16 Oct 1917, granted leave 9 Feb 1918, rejoined unit 1 Mar 1918, absorbed into 3 Brigade Canadian Garrison Artillery on 3 Apr 1918, gassed 28 May 1918, invalided to Canadian Artillery Reinforcement Depot on 5 Jun 1918, awarded Military Medal for bravery in the field 30 Oct 1918, struck off strength to Canada on 9 Jan 1919, demobilized on 10 Feb 1919, enlisted in Royal Flying Corps as a Cadet, joined the Department of Pensions and National Health, joined the Federal Appeal Board in 1923, Assistant Chief Pension Advocate at Veterans Bureau in 1930, returned to active service in 1939, commanded 2nd Battalion, Governor General's Foot Guards in 1940, posted to Headquarters Staff in Kingston, ON in 1943, retired as Colonel, returned to the Department of Veterans Affairs in 1943 as Director of War Service Grants, awarded the Officer of the Order of the Crown by the Belgium government, awarded the Order of Merit by the government of Czechoslovakia in 1946, deceased 4 Aug 1953, buried Saint Ann's Roman Catholic Cemetery Hope River PEI. Hogarth, George William; Taken on strength as a Gunner with 58th Battery 15th (Vancouver) Coast Regiment RCA NPAM on 7 Aug 1940, assigned regimental number V99540, appointed Acting Bombardier, assigned new regimental number K416516. 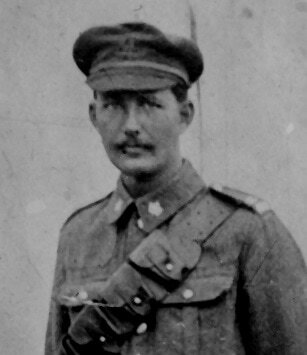 ​Hoggan, Thomas Robert Robertson; Veterinary Officer, 3 years in the Boer War, started service in World War I on 30 Januray 1925, served in Dardanelles and Egypt, Captain on Regimental Staff for 15th Brigade Canadian Field Artillery from 1922 to 1924, deceased 10 Sep 1953. Holden, Frank Edwards; Taken on strength as a Gunner with 58th Battery 15th (Vancouver) Coast Regiment RCA NPAM on 31 Jul 1940, assigned regimental number V9950, struck off strength no parades 29 Nov 1940. Holden, Merrill Homer; Drafted as Gunner 79th Overseas Depot Battery Canadian Field Artillery 7 Dec 1917, regimental #2522497, arrived England 4 Mar 1918, taken on strength Reserve Brigade Canadian Field Artillery 4 Mar 1917, struck off strength to 68th Battery 16th Brigade 21 Aug 1918, proceeded overseas 20 Sep 1918, disembarked Archangel 1 Oct 1918, embarked for the United Kingdom 18 Jun 1919, to Canada 5 Jul 1919, discharged 16 Jul 1919. Holliday; Signaller in 68th Battery 16th Brigade, Canadian Field Artillery North Russia Expeditionary Force in 1918. Hollingsworth, GL; Private in 158 Battery in 1969. 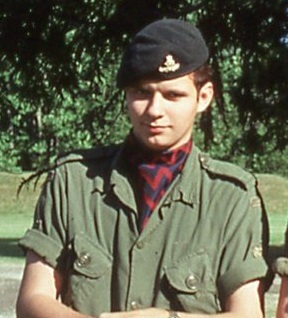 ​Hollo, G; Bombardier in 1965, Sergeant in 1969. Holloway, Pamela Carol; Taken on strength 15th Field Artillery Regiment RCA on 7 Jul 1980, released 7 Jul 1980. Hollyer, Christopher William; Served with 5th Regiment Canadian Garrison Artillery for 21 years, awarded Long Service Medal in 1912, Sergeant-Major, attested 22 May 1916 as Pay Sergeant in 15th Brigade Canadian Field Artillery, embarked Halifax 13 Sep 1916, disembarked Liverpool 22 Sep 1916, transferred to Canadian Army Pay Corps detachment London 1 Dec 1916, discharged 28 Jul 1919, deceased 18 Feb 1938 Victoria BC. 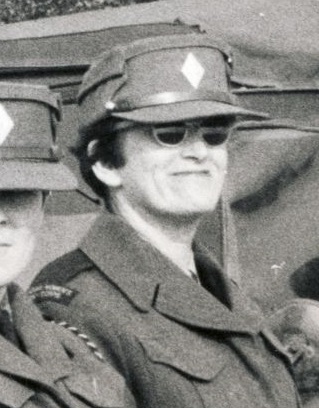 Holm, Ellen Roberta; Taken on strength as an Administrative Clerk in 15th Field Artillery Regiment RCA on 8 Jan 1987, released on 15 Jan 1987. Holme, Donald R; Taken on strength 15th Field Artillery Regiment RCA on 18 Mar 1976, released 29 Aug 1976. Holmes, Alfred Edgar; Taken on strength as a Gunner with 85th Battery 15th (Vancouver) Coast Regiment RCA NPAM on 9 Aug 1940, assigned regimental number V10422, assigned new regimental number K417534. ​Holmes, Charles Brian; Taken on strength on appointment to 15 Field Regiment RCA as a Captain on 7 Mar 1950. ​Holmes, Hugh Walter; Taken on strength as a Gunner in 15th Field Regiment RCA on 4 Nov 1948, struck off strength on 31 Dec 1951. Holmes, Steven John; Taken on strength as a Gunner in 15th Field Artillery Regiment RCA on 8 Jan 1987, qualified General Military Training on 13 Jun 1987, qualified TQ1 Artillery 0n 11 feb 1988, qualified TQ1 Casualty Aide on 31 Jul 1988, qualified TQ2 Casualty Aide on 13 Aug 1988, transferred to Seaforth Highlanders of Canada on 27 Oct 1988. ​Holt, Brian; Enroled as a Gunner in 5th (BC) Field Battery RCA on 25 Nov 1969, qualified General Military Training on 1 May 1970, qualified Artilleryman on 24 Jul 1970, qualified Junior NCO Course on 31 Dec 1970, promoted Bombardier on 1 Mar 1971, qualified Senior NCO Part I on 27 Feb 1972, qualified Senior NCO Artillery course on 23 Jul 1972, promoted Sergeant on 1 Dec 1992, released 20 Nov 1973, enroled as a Bombardier in 15th Field Artillery Regiment RCA on 18 Sep 1993, qualified QL4 Communications on 23 Jan 1994, promoted Master Bombardier on 1 Oct 1994, promoted Sergeant on 15 Sep 1995, awarded Dumoulin Trophy for 1998. Holt, Stephan Robert; Taken on strength as a Gunner in 15th Field Artillery Regiment RCA on 12 Jun 2003. Holtby, Leslie Howard; Taken on strength 58th Heavy Battery 15th (Vancouver) Coast Brigade RCA as a Gunner on 1 Oct 1939, transferred to 107th Field Battery on 26 December 1939, transferred to 8th Army Field Regiment RCA on 10 Feb 1940, appointed Acting Lance Bombardier 8 Dec 1941, confirmed Bombardier on 15 Jul 1942, taken on strength 4th Anti-Tank Regiment 28 Feb 1943, Appointed Acting Lance Sergeant on 28 May 1944, Lance Sergeant on 10 Jul 1944, wounded 14 Sep 1944, died of wounds 19 Sep 1944, buried at Bari Imperial War Graves Cemetery Plot II Row C Grave 11. Holtby, Stan; Lance Bombardier 210 Battery 15th Field Artillery Regiment RCA in 1961. Hon, Diana M; Taken on strength in 15th Field Artillery Regiment RCA, Corporal in 2017. ​Hood, Alfred Ogilvie; Major in 5th (B.C.) Coast Regiment RCA, Lieutenant-Colonel and Commanding Officer 15th (Vancouver) Coast Regiment RCA from 1942 to 1943, awarded Canadian Forces Decoration 15 Dec 1958, deceased 25 Mar 2004. Hood, Cory James​; Taken on strength as a Gunner in 15th Field Artillery Regiment RCA on 18 Jan 1996, released on 16 Jul 1996. Hood, Robert Burt; Taken on strength in 15th Field Regiment RCA on 18 Jun 1953, struck off strength on release on 6 Jan 1955. 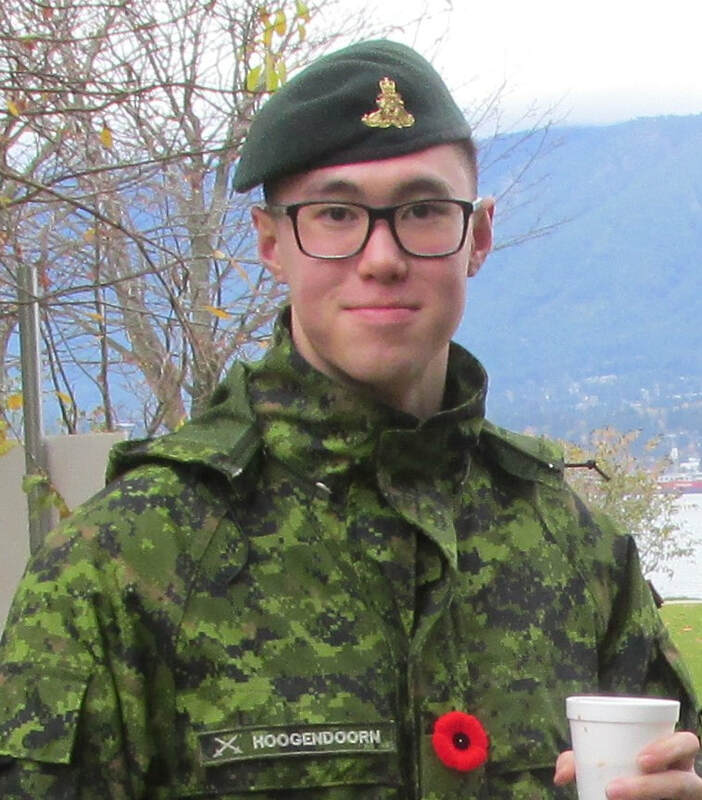 Hoogendoorn, Steven D; Taken on strength as a Gunner in 15th Field Artillery Regiment RCA, Private in 2017. Hopkins Douglas Bentley; Taken on strength as a Gunner with 58th Battery 15th (Vancouver) Coast Regiment RCA NPAM on 31 Jul 1940, assigned regimental number V9956, assigned new regimental number K416571. Hopkins, Bryan Harwood Gordon; Taken on strength as a Gunner with 58th Battery 15th (Vancouver) Coast Regiment RCA NPAM on 31 Jul 1940, assigned regimental number V9955, assigned new regimental number K416570. Horan, John Steven Gregory: Taken on strength 15th Field Artillery Regiment RCA on 24 Apr 1980, released 31 Aug 1980. ​Horgan, John William; Taken on strength 31 Battery 15th (Vancouver) Coast Brigade RCA NPAM 6 Aug 1940, assigned regimental number VV9447, assigned new regimental number K415555. Horgan, Patrick John; Taken on strength 31 Battery 15th (Vancouver) Coast Brigade RCA NPAM 30 Aug 1940, assigned regimental number VV9448, appointed Cook 15 Sep 1940, assigned new regimental number K415556. ​Horne, Ronald Frank; Taken on strength as a Supply Technician in 15th Field Artillery Regiment RCA on 8 Jan 1987, qualified General Military Training on 13 Jun 1987, released 31 Jan 1995. Horner, Beverly Ruth; Taken on strength as a Musician in 15th Field Artillery Regiment RCA on 16 Apr 1990, qualified General Military Training on 15 Jun 1990, qualified QL3 Musician on 7 Jun 1990, promoted Bombardier on 10 Oct 1991, released on 13 Sep 1994. Horseman, GA; Private in 85 Battery in 1969. Horton, K; Gunner in 1964. 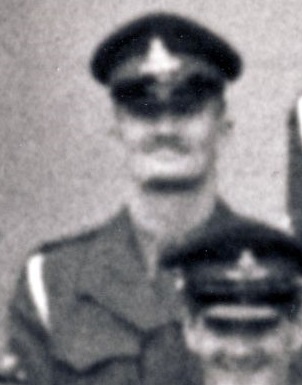 Hoskinson, Edward R; Served with 5th Anti-Tank Regiment RCA during World War II, taken on strength 15th Field Regiment RCA on attachment fap from 34 Field Regiment RCA CA(M) as Captain on 1 Jun 1956, ceases attachment fap on 31 Jul 1956, taken on strength on attachment from Supplementary Reserve (RCAPC) on 1 Aug 1956, ceases attachment on 1 Oct 1958, transferred from RCAPC to RCA on 2 Oct 1958, taken on strength on transfer from Supplementary Reserve (RCA) on 2 Oct 1958, retired 1978, deceased 1987. Hoskinson, ME; Bombardier in 158 Battery in 1969. Hossie, David Neil; Taken on strength King Edward's Horse, transferred to Royal Field Artillery, served in First World War, France and Belgium 10 May 1915 to 10 Jan 1916, Greek Macedonia Siberia Bulgaria etc from 11 Jan 1916 to 3 Feb 1919, Major Royal Field Artillery appointed Acting Colonel, Mentioned in Dispatches three times, awarded Order of the White Eagle 4th Class, Major in 85th Battery 15th Brigade Canadian Field Artillery from 1922 to 1925, transferred 15th Reserve Brigade Canadian Artillery from 1925 to 1926, called to the Bar of British Columbia in Dec 1919, practiced law with Davis, Hossie, Lett, Marshall & McLorg, one time served as Chairman of the Vancouver General Hospital, named King's Counsel (KC) for British Columbia in 1932, deceased 1962. Hough, AV; Gunner in 15th (Vancouver) Coast Brigade, RCA in 1941. Hough, Aaron Michael; Taken on strength as a Gunner in 15th Field Artillery Regiment RCA on 12 May 1992, qualified QL2 General Military Training on 24 Jul 1992, qualified FMC Driver Wheeled on 14 Feb 1993, qualified QL3 Artillery on 30 Jun 1993, qualified QL4 Artillery Communications on 23 Jan 1994, promoted Bombardier on 12 Jun 1994, qualified QL4 Basic Artillery Technician Part I & II on 30 Jun 1994, qualified QL4 Forward Observation Officer Technician on 28 Jul 1995, released. Houghland, Urban Eaborn; Taken on strength as a Gunner with 58th Battery 15th (Vancouver) Coast Regiment RCA NPAM on 7 Aug 1940, assigned regimental number V9951, assigned new regimental number K416567. Houghton, Richard William; Taken on strength as a Gunner in 15th Field Artillery Regiment RCA on 10 May 1994, qualified General Military Training on 10 Aug 1984, qualified TQ1 Basic Artillery on 22 Sep 1984, promoted Bombardier on 1 Jun 1985, qualified TQ1 Motor Support Equipment Operator on 2 Aug 1985, qualified TQ2 Artillery Technician on 11 Apr 1985, released on 11 Sep 1986. Houlbrook, Al; On 1947-1967 list of reunion invitees. House, Aaron Drew; Taken on strength as a Weapons Technician in 15th Field Artillery Regiment RCA on 20 May 1993, released on 31 Aug 1975. Hovorka, Jamie Francis; Taken on strength as a Musician in 15th Field Artillery Regiment RCA on 4 Nov 1992, released on 20 Nov 1996. Howard, William Henry; Taken on strength (former service in Canadian Army Active) in 15 Field Regiment RCA on 12 Apr 1951, appointed Acting Bombardier on 1 May 1952, struck off strength on 22 oct 1953. Howatt, Harold Keith; Taken on strength with Prince Edward Island Heavy Brigade Canadian Garrison Artillery, taken on strength as a Gunner with the No. 5 Siege Battery Canadian Garrison Artillery on 29 May 1916, embarked on the S.S. Southland on 26th Sep 1916, unit renamed 8th Siege Battery Canadian Garrison Artillery on 31 Mar 1917, landed in France on 31 Jul 1917, attached to 1st Army Anti-Gas School on 30 Apr 1917, rejoined unit 5 May 1917, granted 14 days leave to England on 18 Mar 1918, rejoined unit on 9 Apr 1918, absorbed into 3 Brigade Canadian Garrison Artillery on 3 Apr 1918, gassed 29 May 1918, taken on strength Canadian Artillery Reinforcement Depot on 26 Jun 1918, rejoined unit on 4 Jul 1918, promoted Bombardier on 22 Jul 1918, promoted Corporal 2 Jan 1919, arrived in England on 3 Apr 1919, transferred to 2 Canadian Siege Battery on 4 April 1919, sailed to Canada on 3 May 1919, mentioned in despatches 25 Aug 1919, demobilized on 18 May 1919, deceased 1985, buried at Tryon People's Cemetery Tryon PEI. Howe, Al; On 1947-1967 list of reunion invitees. Howard, Albert William; Attested Canadian Overseas Expeditionary Force 26 May 1915, regimental #89754, Gunner 26th Battery 7th Brigade, arrived England 18 Aug 1915, admitted hospital 21 Aug 1915, discharged 10 Sep 1915, forfeits 2 days pay and 7 days #2 Field Punishment 15 Dec 1915, embarked for France 16 Jan 1916, taken on strength 18th Battery 5th Brigade Canadian Field Artillery 19 Mar 1917, granted 10 days leave 30 Jun 1917, rejoined unit 12 Jul 1917, taken on strength Canadian Artillery Regimental Depot 31 Oct 1917, attached to 2 CCD 10 Dec 1917, hospitalized 17 Jan 1918, attached 2 CCD 26 Feb 1918, taken on strength Reserve Brigade Canadian Field Artillery 12 Apr 1918, taken on strength Composite Brigade Canadian Reserve Artillery 23 May 1918, taken on strength 68th Battery 16th Brigade Canadian Field Artillery North Russia Expeditionary Force 21 Aug 1918, proceeded overseas 20 Sep 1918, disembarked Archangel 1 Oct 1918, promoted Acting Bombardier 14 Apr 1919, confirmed Bombardier 10 Jun 1919, embarked for the United Kingdom 18 Jun 1919, to Canada 5 Jul 1919, discharged 15 Jul 1919, deceased 22 Nov 1934. Howe, Desmond Maurice; Taken on strength 31 Battery 15th (Vancouver) Coast Brigade RCA NPAM 6 Aug 1940, assigned regimental number VV9449, on Advance Party 14 Sep 1940, appointed Cook 15 Sep 1940, assigned new regimental number K415558. Howe, John; Taken on strength in 15 Field Regiment RCA on 30 Mar 1950, appointed Lance Bombardier on 6 Dec 1951, promoted Acting Bombardier on 1 Apr 1953, promoted substantive Bombardier on 21 Feb 1957, promoted Acting Sergeant on 1 Apr 1957. Howell, Ronald Graham; Taken on strength as a Musician in 15th Field Artillery Regiment RCA on 21 Feb 1985, qualified TQ4 Musician on 21 Jun 1985, promoted Bombardier on 2 Nov 1985, released on 1 Oct 1986. Howes, Arthur Edward; taken on strength 4 years 5th Sussex Battery, taken on strength 2nd H.C. Brigade Royal Field Artillery, attested Canadian Overseas Expeditionary Force 21 Oct 1914, regimental #85622, Gunner 22nd Battery 6th Brigade, embarked to Britain 23 Feb 1915, proceeded to France 28 May 1915 to the 12th Brigade CFA, transferred to 3rd Brigade Canadian Field Artillery 6 Jun 1915, posted to 12th Brigade Canadian Field Artillery 22 Aug 1916, awarded good conduct badge 16 Oct 1916, posted to 3rd Brigade Canadian Field Artillery 19 Mar 1917, granted 10 days leave 25 Aug 1917, admitted to hospital while on leave, taken on strength Canadian Artillery Regimental Depot 2 Sep 1917, awarded 2 days pay RW and 5 days pay for overstaying pass 31 Oct 1917, taken on strength 1st Brigade Canadian Reserve Artillery 31 Oct 1917, taken on strength Reserve Brigade Canadian Field Artillery 18 Nov 1917, taken on strength Composite Brigade Canadian Reserve Artillery 16 Jun 1918, taken on strength 68th Battery 16th Brigade Canadian Field Artillery North Russia Expeditionary Force 21 Aug 1918, proceeded overseas 20 Sep 1918, disembarked Archangel 1 Oct 1918, embarked for United Kingdom 18 Jun 1919, to Canada 18 Jul 1919, discharged 30 Jul 1919. Howie, AK; Captain in 209 Battery in 1969. Howland, DS; Taken on strength from 43 Medium Anti-Aircraft Regiment RCA to the 43 Medium Anti-Aircraft Regiment RCA Band on 1 Nov 1958. Howland, James Bradford; Taken on strength as a Musician in 15th Field Artillery Regiment RCA on 28 Oct 1987, qualified General Military Training on 17 Aug 1984, released 28 Aug 1984, re-enroled on 28 Oct 1987, qualified General Military Training on 21 Oct 1987, qualified QL1 Musician (Trombone) on 21 Oct 1987, promoted Bombardier on 1 Sep 1988, released on 1 Sep 1990. Hrdlicka, Rudolph; Taken on strength 15th Field Regiment RCA on 30 Jan 1958. Hrushowy, WJ; Taken on strength from 43 Medium Anti-Aircraft Regiment RCA to the 43 Medium Anti-Aircraft Regiment RCA Band on 1 Nov 1958. 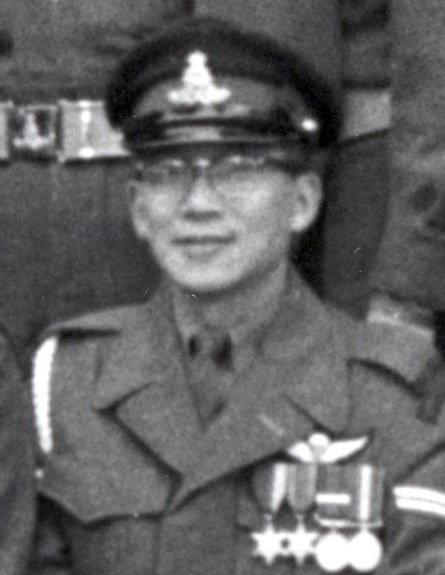 Hu, Zheng Qiao; Taken on strength as a Gunner in 15th Field Artillery Regiment RCA on 27 Jun 2002, qualified QL2 Basic Military Qualification on 26 Jul 1982, qualified QL3 Artillery on 30 Aug 1982, released on 3 Oct 2003. Huang, Evan; Taken on strength as a Gunner in 15th Field Artillery Regiment RCA, Bombardier from 2014 to 2017. 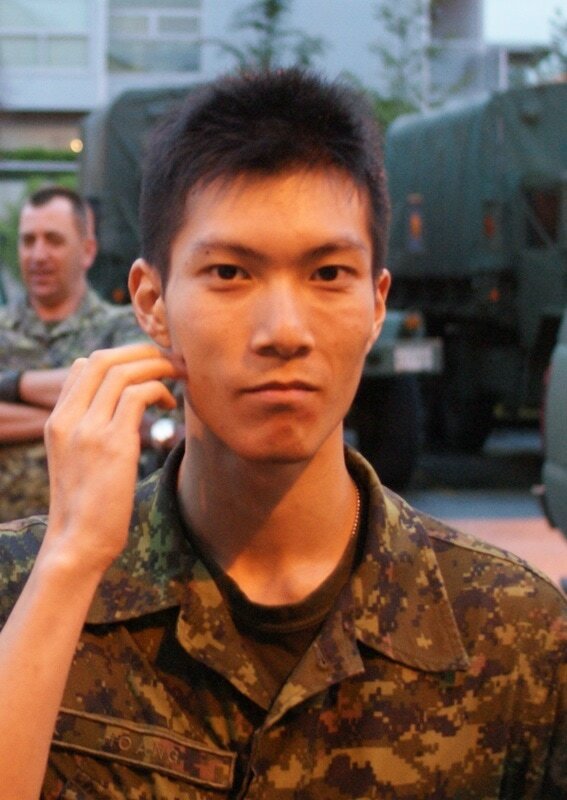 Huang, Steven T; Taken on strength as a Gunner in 15th Field Artillery Regiment RCA, Gunner in 2014, Bombardier 1 Mar 2016. Huber, BJ; Private in 158 Battery in 1969. Hubley, Thomas Mervyn; Member of 58 Westmount Rifles, attested 8 May 1916, regimental #336947, 66th Battery Canadian Expeditionary Force, embarked Halifax 11 Sep 1916, arrived Liverpool England 22 Sep 1916, proceeded overseas to France 21 Aug 1917, taken on strength 14th Brigade Canadian Field Artillery 23 Jan 1917, landed in France 22 Aug 1917, invalided sick and posted to Canadian Artillery Regimental Depot 9 Jan 1918, taken on strength Reserve Brigade Canadian Field Artillery 12 Apr 1918, taken on strength to Composite Brigade Canadian Reserve Artillery 23 May 1918, appointed Acting Bombardier whilst specially employed as PT Instructor 5 Aug 1918, relinquished appointment of Acting Bombardier 31 Aug 1918, taken on strength 68 Battery 16 Brigade 4 Sep 1918, appointed Acting Bombardier 4 Sep 1918, proceeded overseas to North Russia Expeditionary Force 20 Sep 1918, disembarked Archangel 1 Oct 1918, confirmed Bombardier 4 Sep 1918, reverts to Gunner at own request 14 Apr 1919, embarked Archangel for the UK 18 Jun 1919, to Canada 5 Jul 1919, discharged 15 Jul 1919, deceased 30 Nov 1981, buried Mount Royal Cemetery Montreal QC. Hucke, Steven Michael; Taken on strength as a Gunner in 15th Field Artillery Regiment RCA on 15 Jan 1994, released on 15 Mar 1994. ​Hudson, William Crockatt; Attested Canadian Overseas Expeditionary Force 11 Mar 1916, regimental #318895, Gunner 50th (Queen’s) Battery, embarked Halifax 11 Sep 1916, arrived Liverpool England 22 Sep 1916, taken on strength 53rd Battery 14th Brigade Canadian Field Artillery 22 Jan 1917, proceeded overseas to France 21 Aug 1917, gassed shell 1 Dec 1917, invalided sick and posted to Canadian Artillery Regimental Depot 8 Dec 1917, attached to 2CCD 18 Jan 1918, taken on strength Reserve Brigade Canadian Field Artillery 8 Mar 1918, taken on strength to Composite Brigade Canadian Reserve Artillery 23 May 1918, taken on strength 68 Battery 16 Brigade 21 Aug 1918, appointed Acting Bombardier with pay and allowances 21 Aug 1918, proceeded overseas to North Russia Expeditionary Force 20 Sep 1918, disembarked Archangel 1 Oct 1918, Bombardier in "C" Sub Section Apr 1919, hospitalized facial paralysis 16 Apr 1919, attached to Royal Artillery Depot for base duties 2 Jun 1919, confirmed rank of Bombardier 3 Jun 1919, to Canada 5 Jul 1919, discharged 19 Jul 1919, deceased 19 Mar 1986 Victoria BC. Hufanda, Abel Sarabia; Taken on strength as a Gunner in 15th Field Artillery Regiment RCA on 21 May 1998, qualified QL2 & QL3 Artillery on 30 Jun 1998, released on 30 Jul 1998. Huggard, MB; Taken on strength in 15 Field Regiment RCA on 22 Jun 1950, struck off strength on 11 Jan 1951. Huggett, Jack Leslie; 68th Battery Canadian Field Artillery Gunner April 1917, England Oct 1917, France 18th Battery Feb 1918, wounded Cambrai Oct 12 1918, invalided to England Oct 1918, Canada July 1919 and discharged Sept 1919. Hughes, CGC; ​Gunner in 102nd Coast Regiment RCA in 1954, taken on strength on transfer 15th Field Regiment RCA on 16 Nov 1954, struck off strength on release on 1 May 1957. 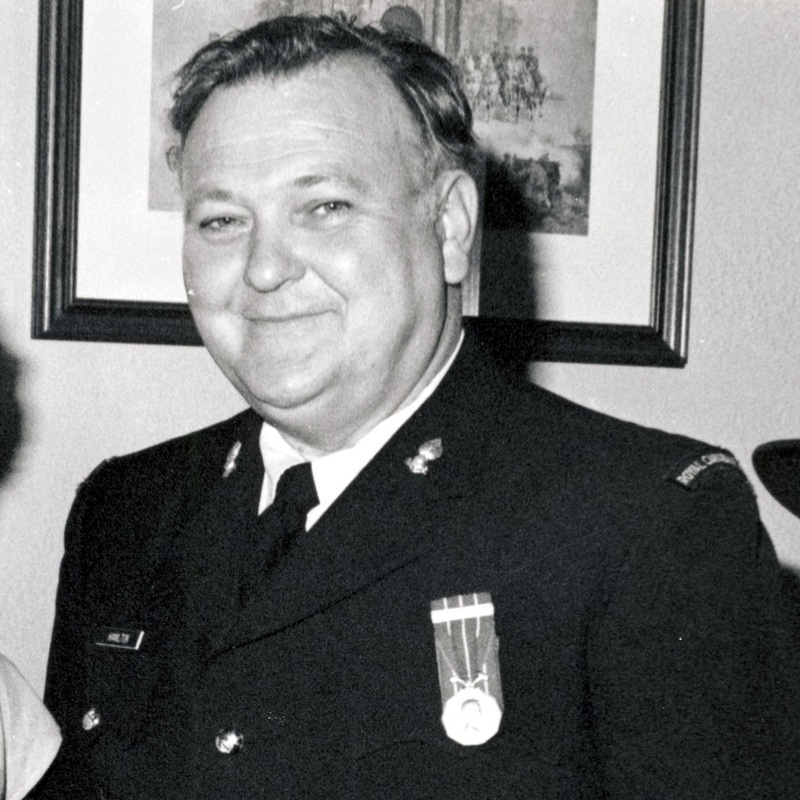 ​Hughes, CN; Sergeant on the Warrant Officers and Sergeant’s Mess gong, on 1947-1967 list of reunion invitees. Hughes, Edward John; Taken on strength Canadian Active Service Force as a Gunner 1 Sep 1939, trained at Fort Macauley, posted to 31st Heavy Battery 15th (Vancouver) Coast Brigade RCA 6 Dec 1939, transferred to Canadian Historical Division as a war artist 1940, married Fern Rosabell Irvine 10 Feb 1940, Sergeant in 1941, commissioned Second Lieutenant Feb 1942, Captain in 1943, Kiska 1943, discharged 1946, elected to Royal Canadian Academy of Arts 1968, awarded Honorary Doctorate from University of Victoria 1994, awarded Honorary Doctorate from Emily Carr Institute of Art and Design 1997, received Order of Canada 2001, awarded the Order of British Columbia 2005, deceased 5 Jan 2007, buried Shawnigan Community Cemetery. Hughes, Ernest Leigh; 68th Battery Canadian Field Artillery Gunner, April 1917, England Dec, 1917, Reserve Siege Battery Jan 1918, France 1st Canadian Heavy Battery April 1918, Gassed Monchy Sept. 5 1918, Invalided to England Sept 1918, Canada and discharged April 1919. Hughes, Joseph Dave; Taken on strength as a Gunner in 15th Field Artillery Regiment RCA on 2 Jul 1984, qualified General Military Training on 10 Aug 1984, qualified TQ1 Artillery on 22 Sep 1984, released on 15 Aug 1984. Hughes, Walter; Member 0f 43rd DCOR, attested 6 Dec 1915, regimental #305605, 32nd Battery 9th Brigade CFA, embarked Canada 5 Feb 1916, arrived England 14 Feb 1916, landed France 14 Jul 1916, appointed Acting Bombardier 1 Feb 1917, transferred to 8th Brigade Canadian Field Artillery on reorganization 5 May 1917, promoted Bombardier 20 Jul 1917, granted leave to Paris 28 Aug 1917, rejoined unit 8 Sep 1917, wounded 29 Nov 1917, taken on strength Canadian Artillery Regimental Depot 5 Dec 1917, taken on strength 68 Battery 16 Brigade 21 Aug 1918, proceeded overseas to North Russia Expeditionary Force 20 Sep 1918, disembarked Archangel 1 Oct 1918, awarded Military Medal 8 Apr 1919, awarded St George's Cross, embarked Archangel for the United Kingdom 18 Jun 1919, to Canada 5 Jul 1919, discharged 15 Jul 1919, deceased 2 Sep 1956, buried Beachwood Cemetery Ottawa ON . ​Hughes, Vivian Sydney; Taken on strength 15th Field Artillery Regiment RCA on 24 Apr 1975, released 6 Jan 1977. 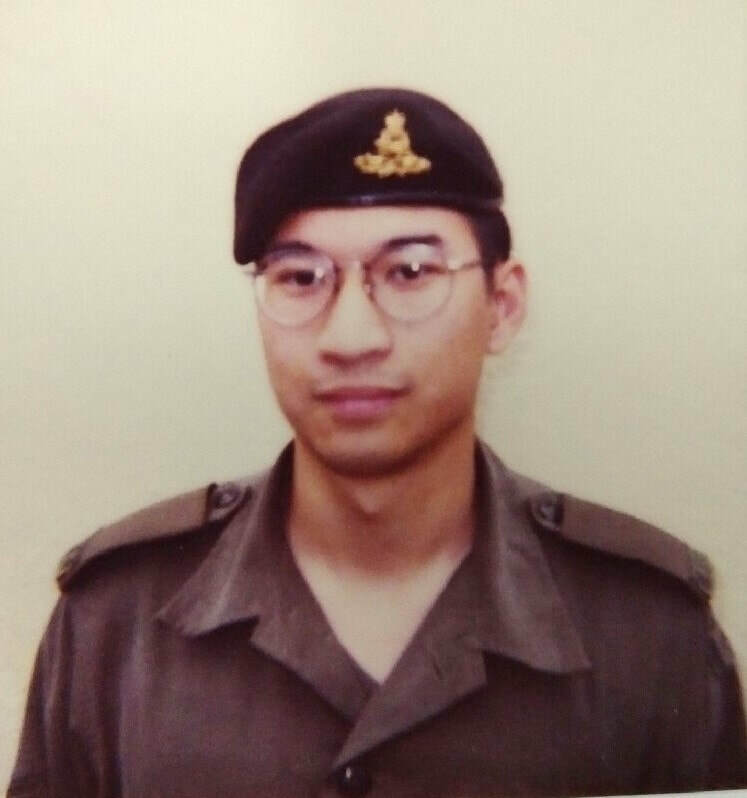 ​Hui, Conway; Taken on strength as a Gunner in 15th Field Artillery Regiment RCA on 24 Apr 1997, Qualification Level 2 on 3 Aug 1997, Qualified QL3 Artillery on 22 Aug 1997, qualified Driver Wheeled on 25 Apr 1998, promoted Bombardier on 6 Feb 2000, appointed Officer Cadet on 10 Apr 2003, promoted Second Lieutenant on 10 Apr 2003, Lieutenant in 2005, Captain in 2014. Huish, Robert James; Taken on strength 15 Field Regiment RCA on 21 Oct 1954 with former service in Canadian Army (Militia), struck off strength on transfer to 24 Medical Company RCAMC on 31 Mar 1956. 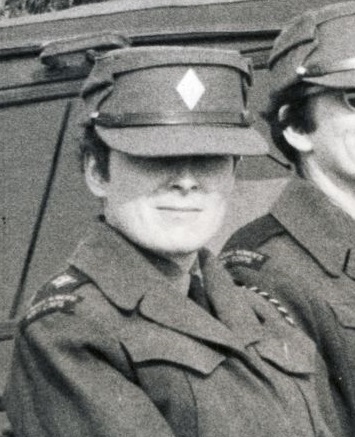 ​Hun, Sarah Katalin; Taken on strength as a Gunner in 15th Field Artillery Regiment RCA on 18 Apr 1996, qualified QL2 General Military Training on 30 Aug 1996, released on 19 Mar 1997. Hunt, James Gordon; Taken on strength as a Gunner in 15th Field Artillery Regiment RCA on 11 Jun 2002, released on 1 May 2003. Hunt, Randal Dean; Taken on strength 15th Field Artillery Regiment RCA on 26 May 1982, released 11 Jun 1982. Hunter, Kevin Jay; Taken on strength as a Gunner with 85th Battery 15th (Vancouver) Coast Regiment RCA NPAM on 2 Aug 1940, assigned regimental number V10423, assigned new regimental number K417535. ​Hunter, Lloyd E; Taken on strength 15th Field Regiment RCA on 8 Oct 1953 with former service, to draw pay of Clerk Admin Group 3, promoted Acting Sergeant on 8 Oct 1953, promoted substantive Staff Sergeant on 30 Jan 1956, Publisher of Concentration 1965 Camp newsletter, promoted Acting Warrant Officer Class II on 30 Jan 1957, Warrant Officer Class II in 1961. ​Hunter, R​; Major in 15th (Vancouver) Coast Brigade RCA in 1943, Battery Commander Yorke Island from 5 Oct 1943 to 12 Dec 1943. Hunter, Richard Chant; Taken on strength as a Gunner in 15th Field Artillery Regiment RCA on 6 Jul 1982, released on 23 Jul 1982. ​Hunter, T Murray; Second Lieutenant in 58th Heavy Battery 15th (Vancouver) Coast Brigade RCA CASF in 1939, Lieutenant in 1941, member of NCOs Qualification Examination Board in 1941, officer commanding Narrows North Fort for a brief period in 1940-41. ​Hunter, William Edward; Taken on strength 31 Battery 15th (Vancouver) Coast Brigade RCA NPAM 18 Jul 1940, assigned regimental number VV9450, assigned new regimental number K415559. Hurd, Wilfred; Taken on strength as a Gunner with 58th Battery 15th (Vancouver) Coast Regiment RCA NPAM on 31 Jul 1940, assigned regimental number V9957, assigned new regimental number K416572. Hurry, Robert; Taken on strength with A.M.C. for 3 years, taken on strength Prince Edward Island Heavy Brigade Canadian Garrison Artillery, taken on strength as a Gunner with the No. 5 Siege Battery Canadian Garrison Artillery on 6 May 1916, embarked on the S.S. Southland on 26 Sep 1916, unit renamed 8th Siege Battery Canadian Garrison Artillery on 31 Mar 1917, landed in France on 31 Jul 1917, to Corps Rest Camp on 26 Sep 1917, rejoined unit 5 Oct 1917, sentenced to 3 days Field Punishment #2 on 20 Oct 1917 as gas mask was not worn in the alert position in Armentieres, granted 14 days leave to England on 18 Mar 1918, absorbed into 3 Brigade Canadian Garrison Artillery on 3 Apr 1918, rejoined unit from leave on 9 Apr 1918, gassed on 28 May 1918, arrived Canadian Artillery Reinforcement Depot on 4 Jul 1918, sentenced 5 days Field Punishment #2 on 10 Jul 1918 for being absent from roll call from 9pm 9 Jul 1918 to 9:30 same date (absent 30 min), rejoined 3 Brigade Canadian Garrison Artillery on 19 Sep 1918, awarded Military Medal on 7 Oct 1918, proceeded to England on 28 Mar 1919, transferred to 2 Canadian Siege Battery on 4 Apr 1919, struck off strength to Canada on 2 May 1919, demobilized on 18 May 1919, deceased 28 Dec 1964. Husband, Eric Herbert Wentworth; ​Taken on strength 31 Battery 15th (Vancouver) Coast Brigade RCA NPAM 30 Jul 1940, assigned regimental number VV9451, appointed Acting Sergeant 15 Sep 1940, assigned new regimental number K415504. 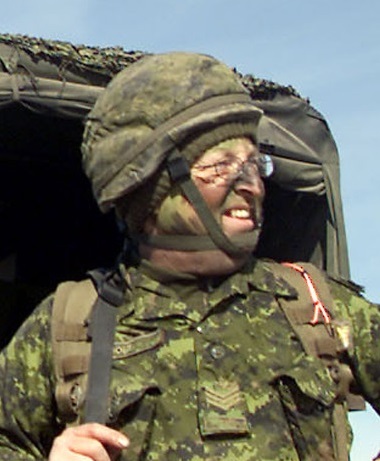 Husband, Laurie Jean; Taken on strength as a Musician in 15th Field Artillery Regiment RCA on 23 Jun 1990, qualified General Military Training on 1 Aug 1990, transferred to 6 Field Engineer Squadron on 7 Nov 1990. Hutchins, John Cannon; Bombardier in 15th Brigade Canadian Field Artillery in 1916. Hutchinson, Brent James; ​Taken on strength as a Musician 15th Field Artillery Regiment RCA on 28 Apr 1977, qualified Basic Musician on 2 Sep 1977, released 1 Oct 1978. 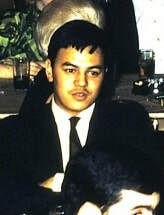 Hyatt, Martin Delorre; Taken on strength 10th Field Artillery Regiment RCA on 3 Jan 1963, Captain, transferred to 15th Field Artillery Regiment RCA on 20 Mar 1973, transferred to Supplementary List on 11 Jan 1977. 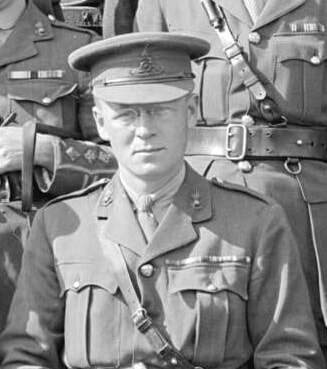 Hyde, Walter Court; Attested into Canadian Over-Seas Expeditionary Force 10 Jan 1915, embarked to France with 3rd Brigade Canadian Field Artillery 23 May 1915, to be Captain 10 Jul 1916, to be Acting Major 2 Nov 1916, relinquishes rank of Acting Major 15 Feb 1917, to be Acting Major 23 Jun 1917, wounded 18 Oct 1917, on furlough to Canada 28 Nov 1917, awarded Distinguished Service Order 1 Jan 1918, Mentioned in Despatches 27 Feb 1918, furlough ends 28 Mar 1918, posted to 68th Battery 16th Brigade Canadian Field Artillery North Russia Expeditionary Force 21 Aug 1918, disembarked Archangel 1 Oct 1918, awarded Order of St Stanislaus with Swords Second Class 1 Jan 1918, embarked Archangel for United Kingdom 11 Jun 1919, sailed for Canada 8 Aug 1919, demobilized 17 Aug 1919, enroled with 2nd Montreal Regiment Royal Canadian Artillery from 1930 to 1935, President of RCAA in 1935, promoted Brigadier, appointed Commander Royal Artillery 4 Canadian Infantry Division in 1941, Commander Royal Artillery 4th Canadian Armoured Division in 1943, Chief of Staff Pacific Command in 1944, deceased 26 Nov 1967, buried Mount Royal Cemetery Montreal Quebec. ​Hyland, Oswald; Taken on strength 15th Field Regiment RCA on 1 May 1958, struck off strength on release on 18 Sep 1958. Check out our Honours and Awards page for the abbreviations used. ​Please accept my apologies and contact me at LeonJ1@hotmail.com and I’ll have it removed.